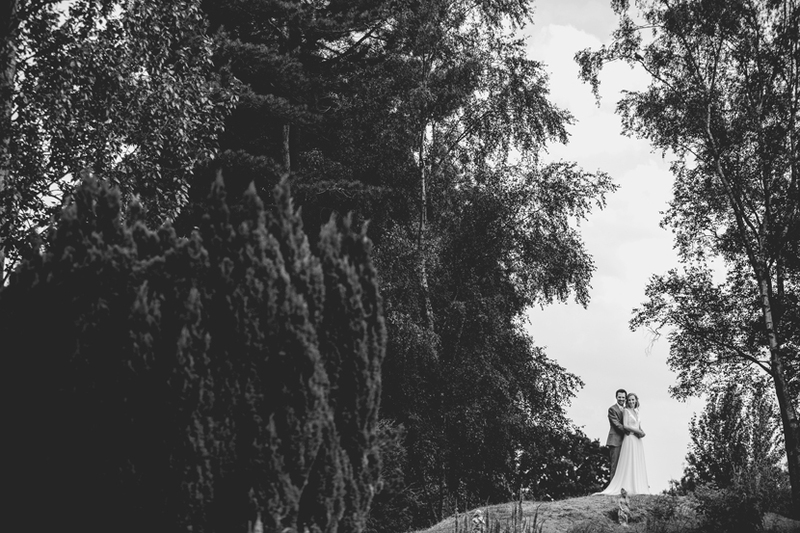 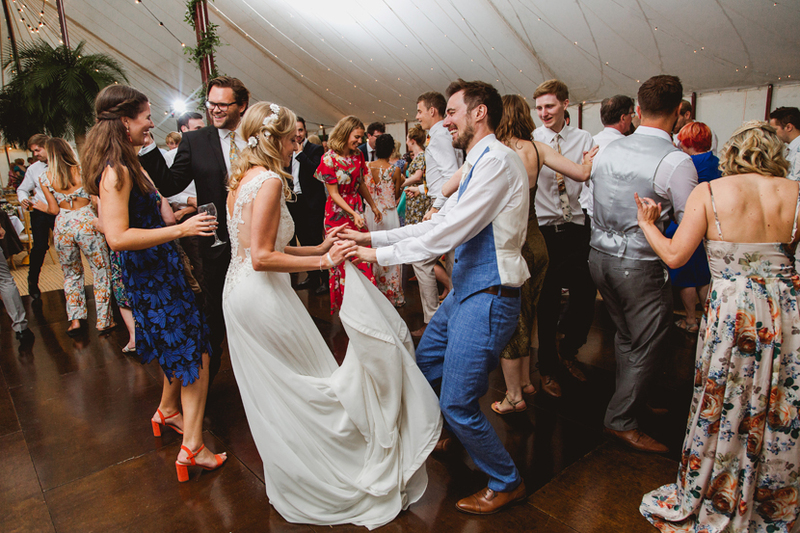 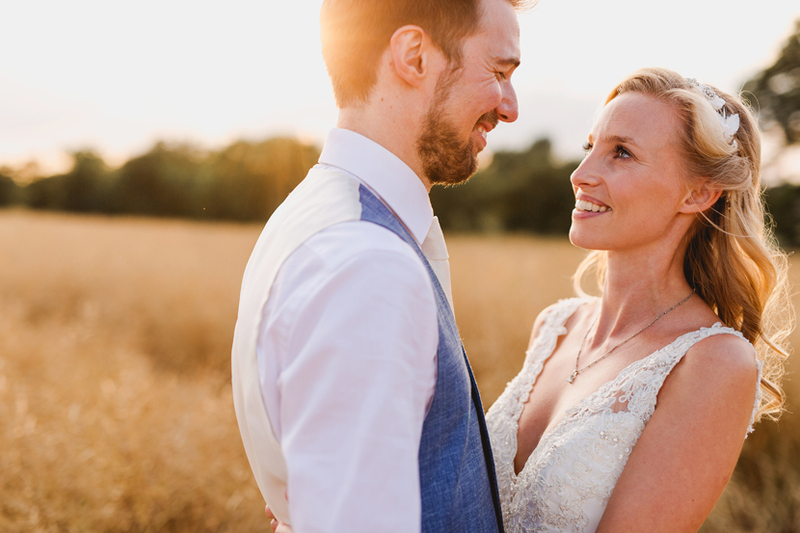 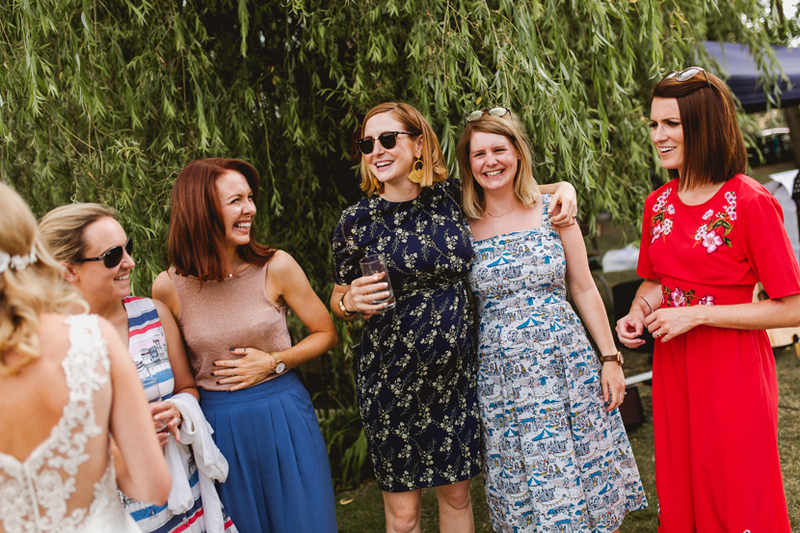 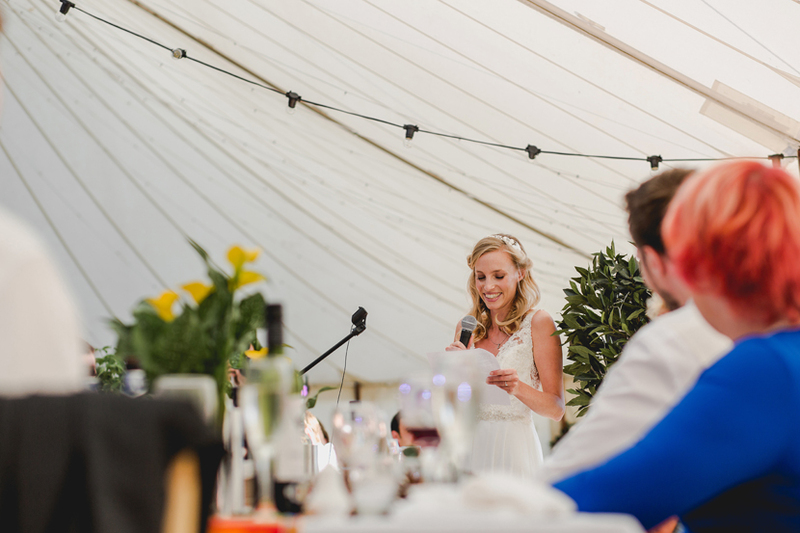 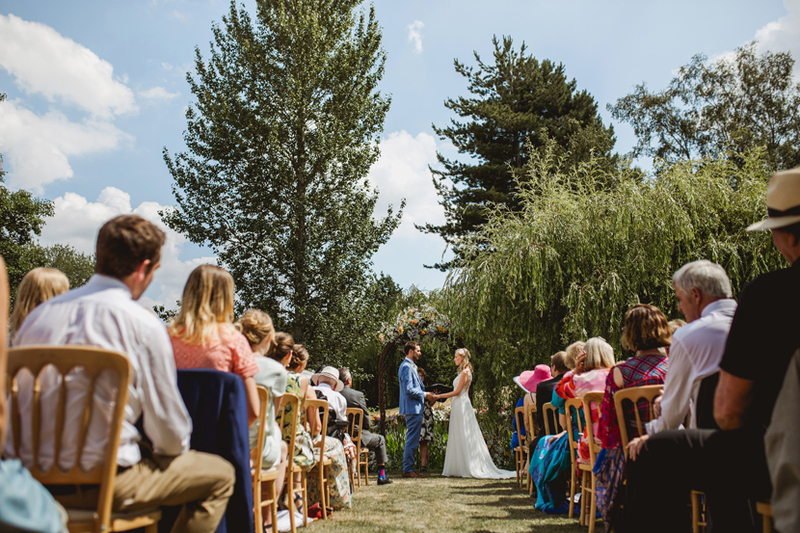 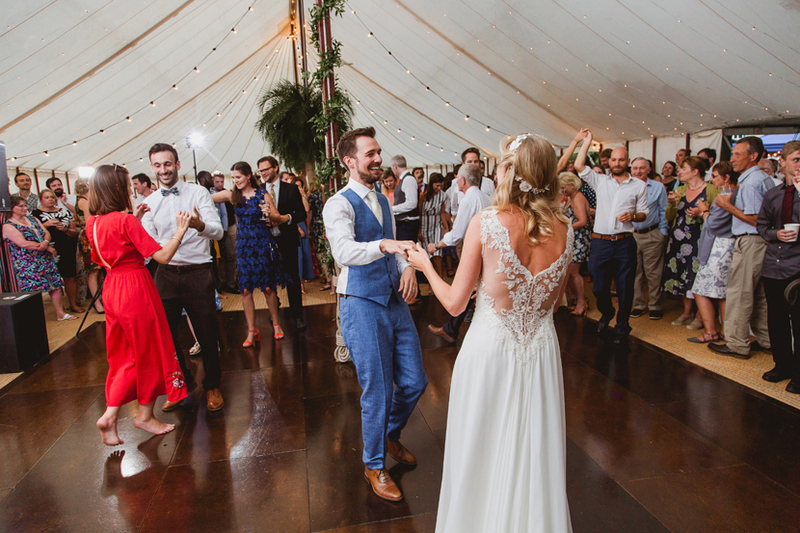 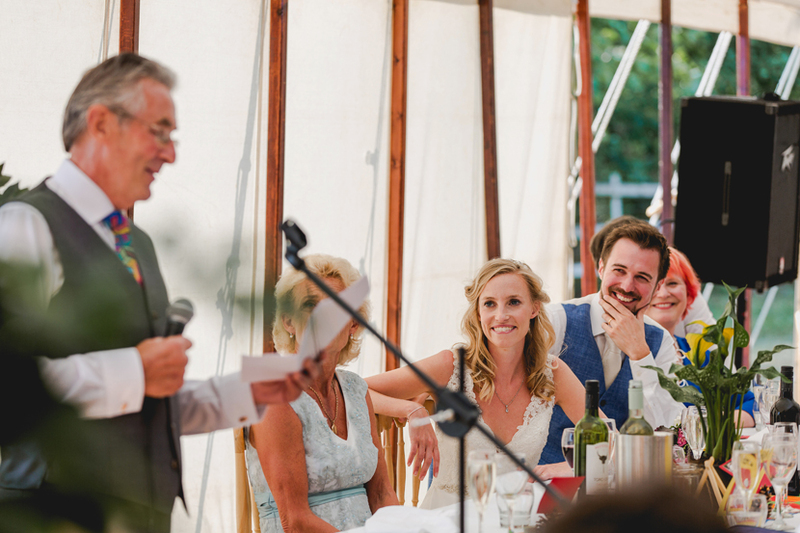 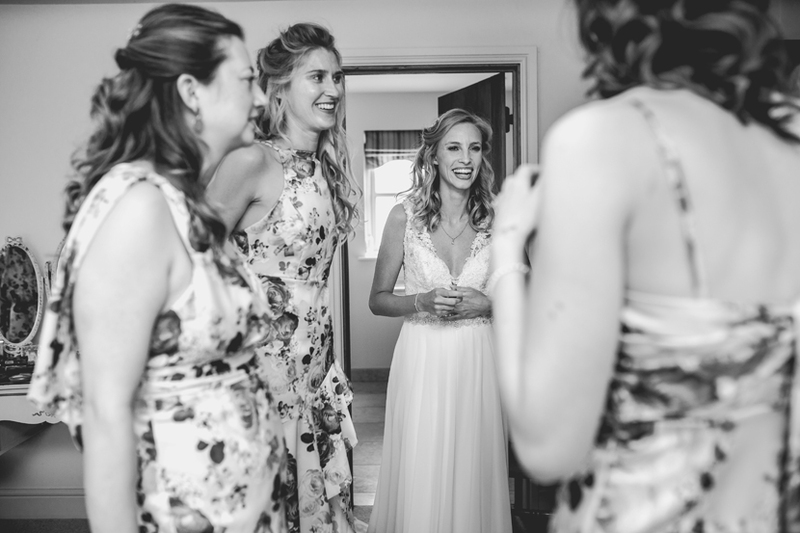 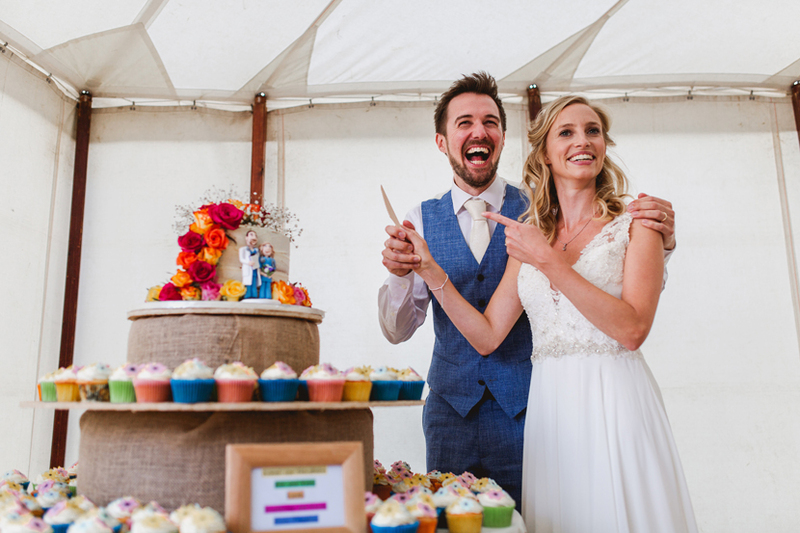 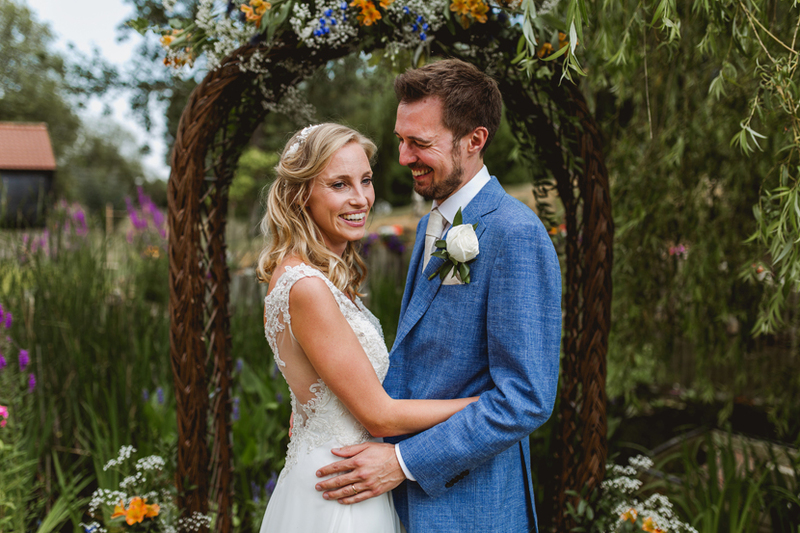 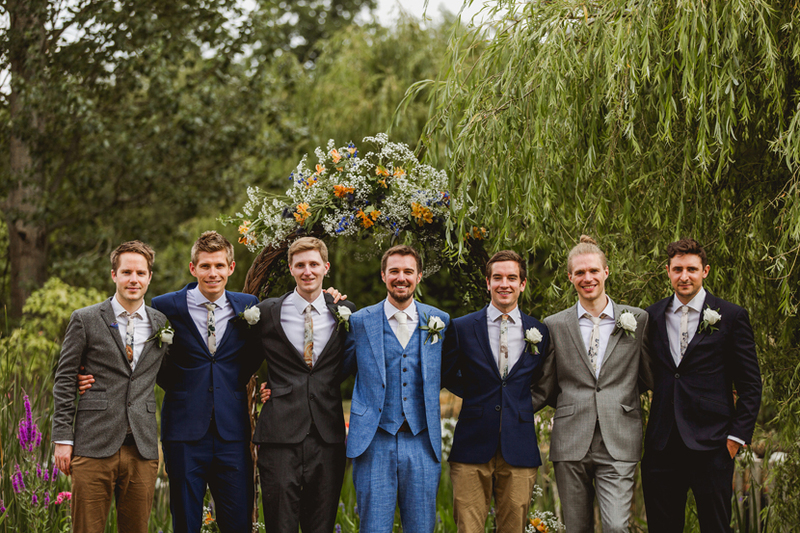 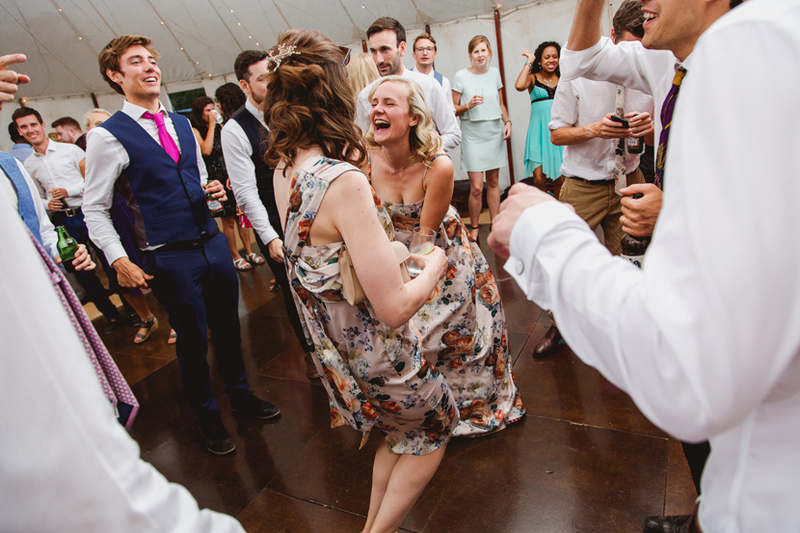 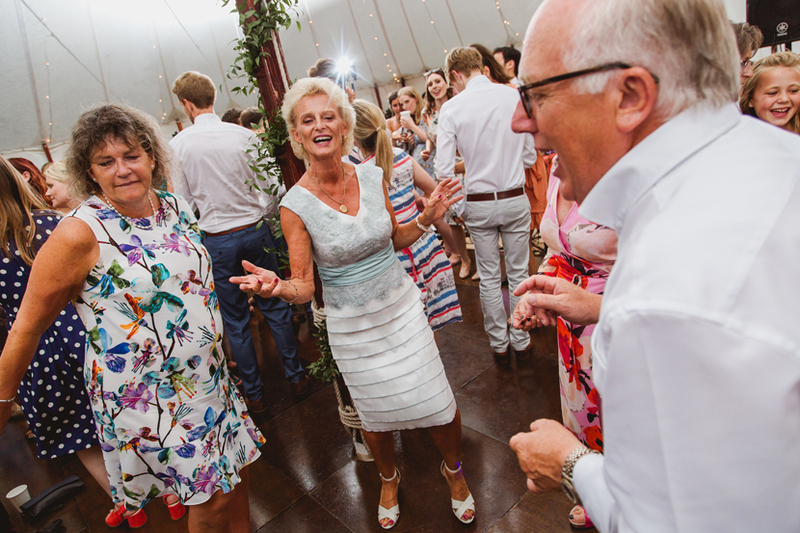 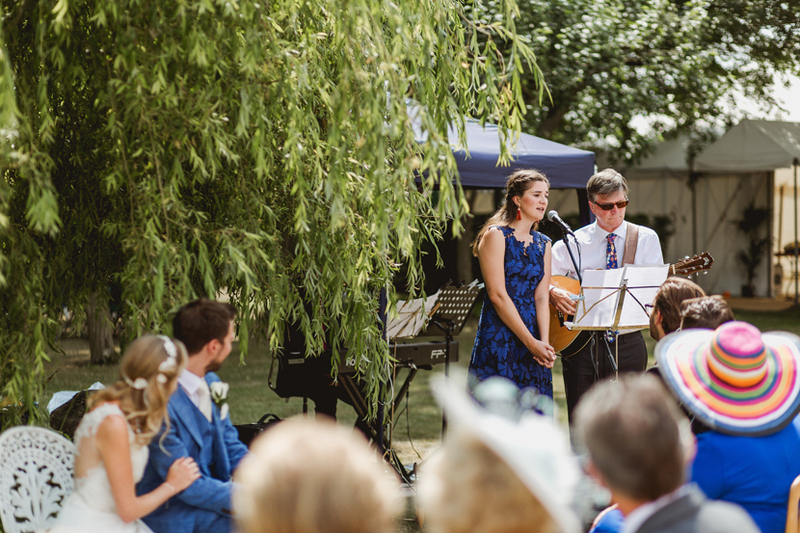 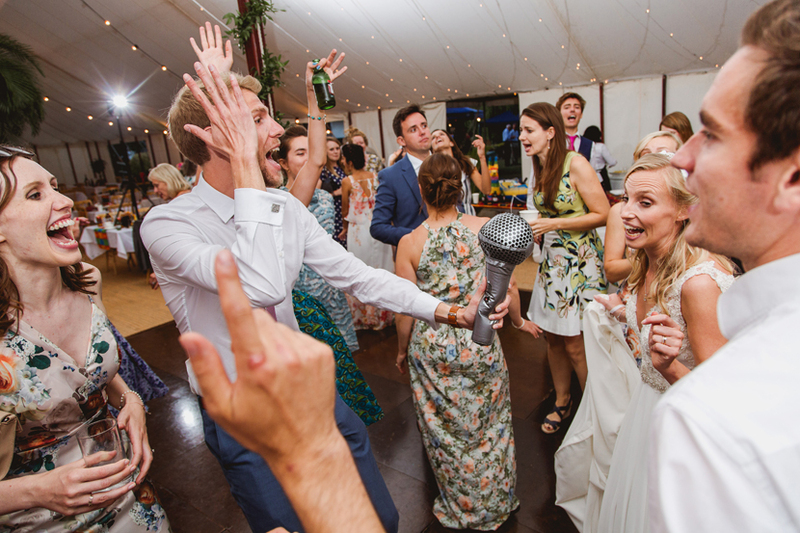 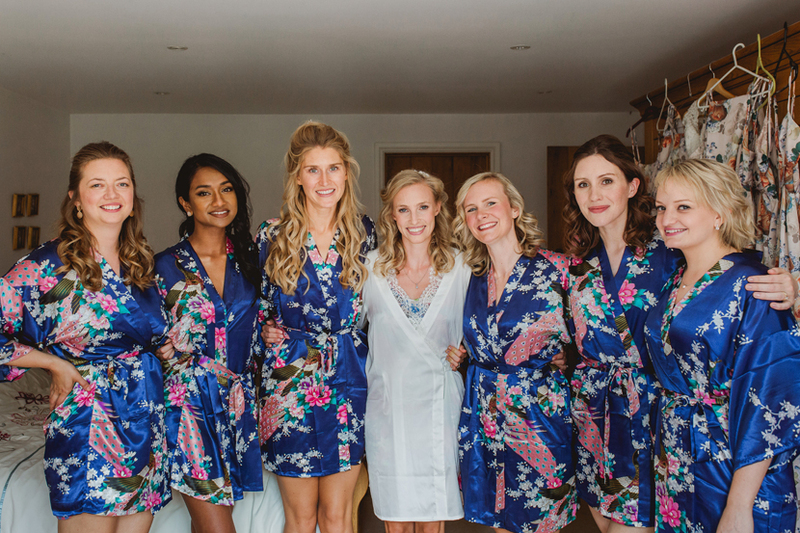 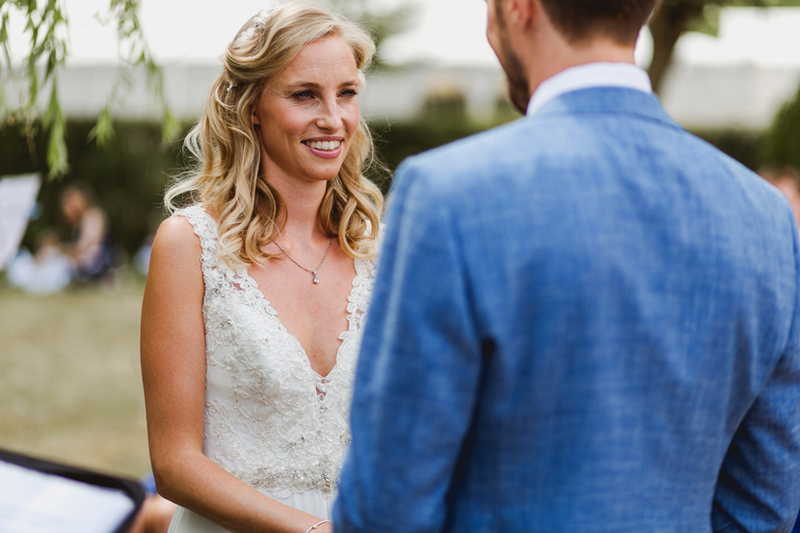 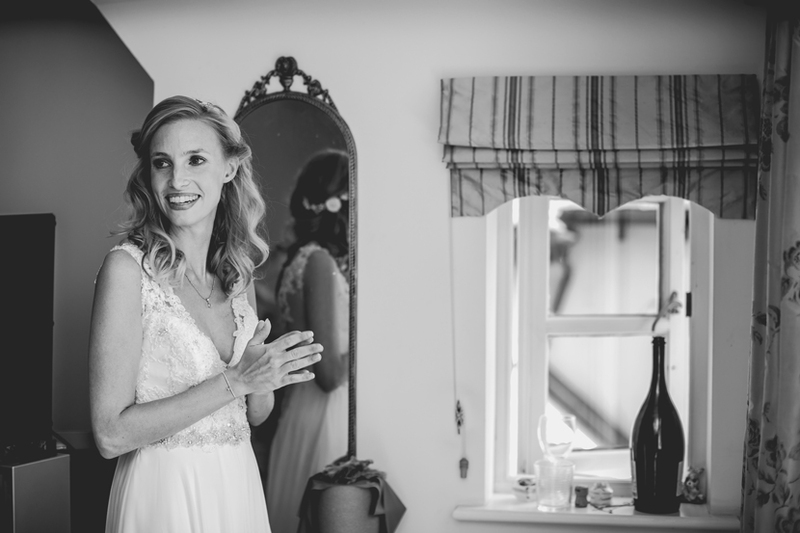 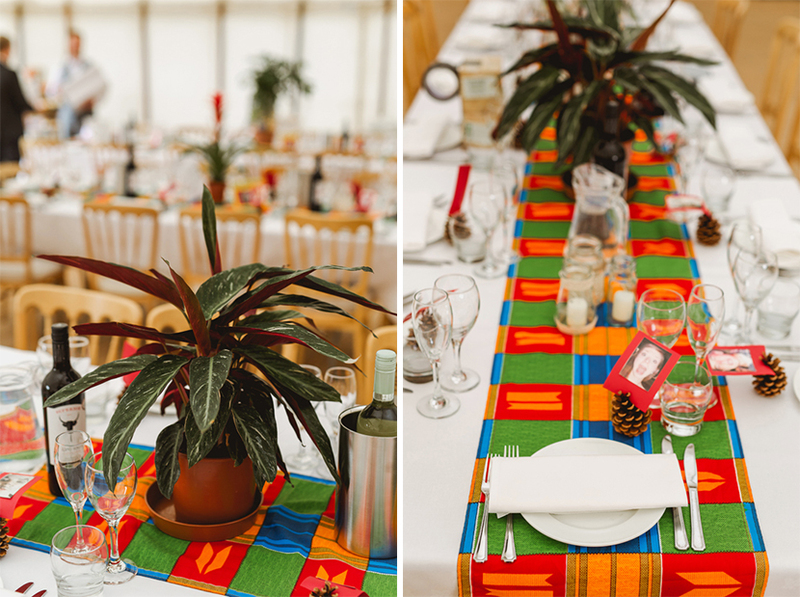 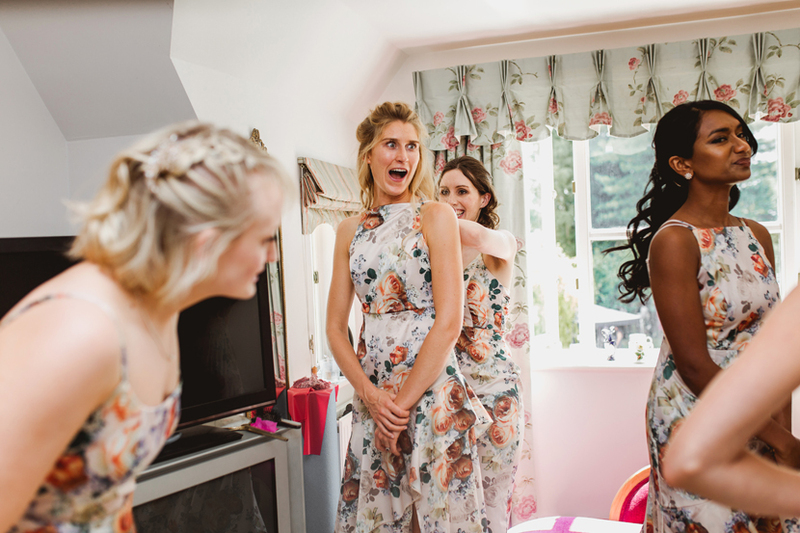 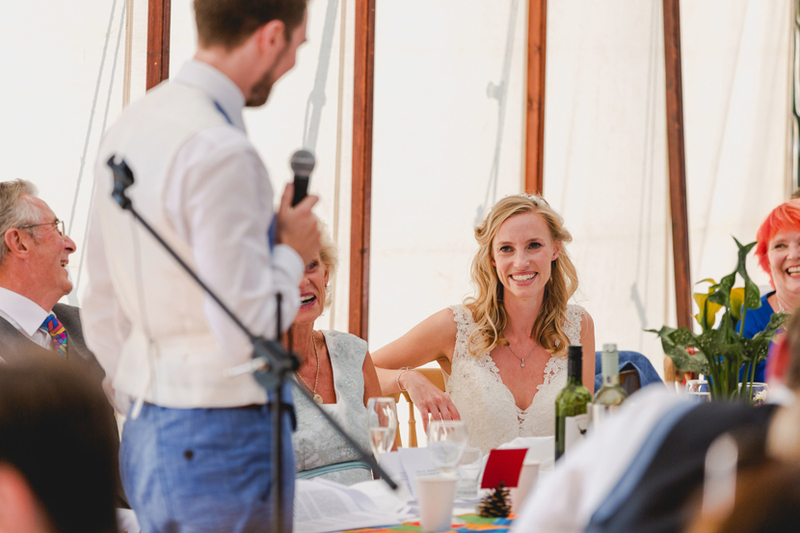 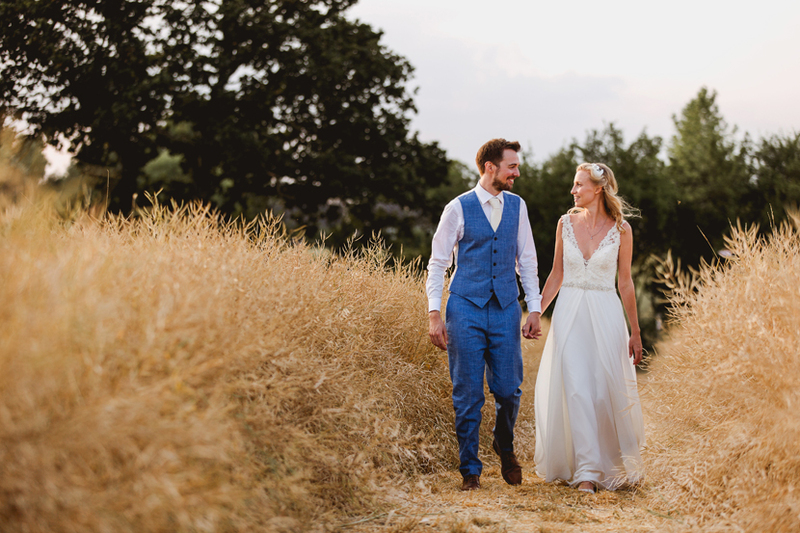 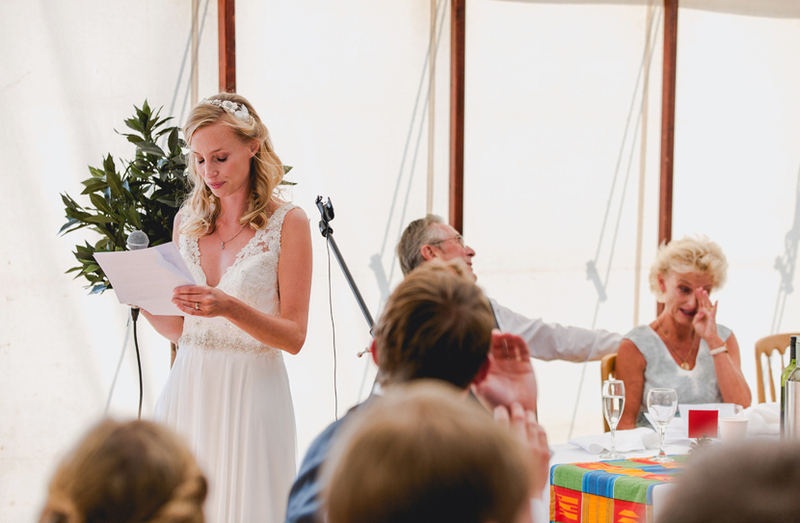 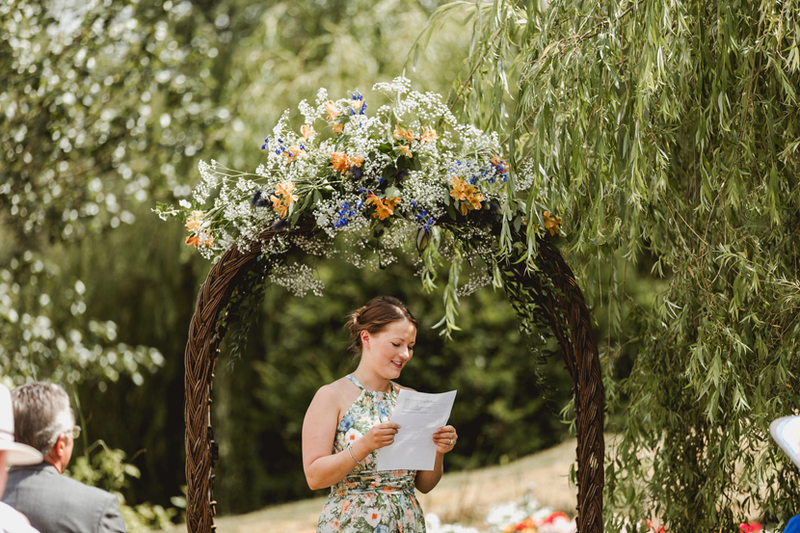 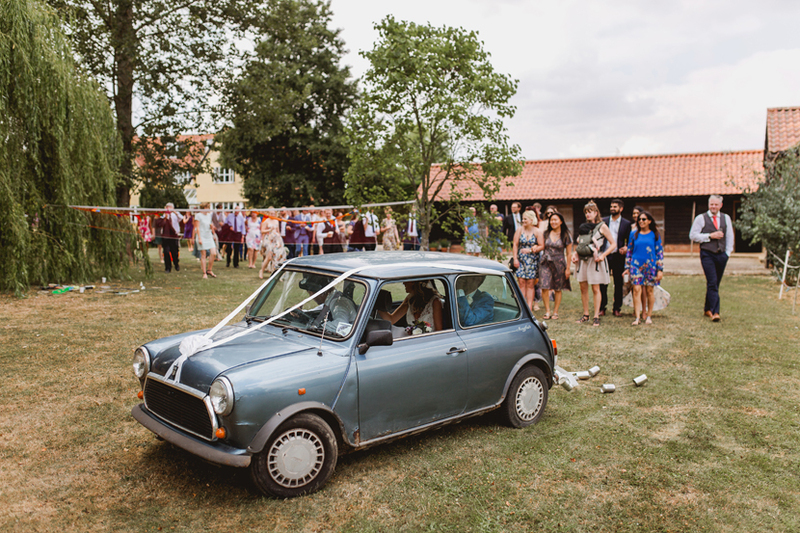 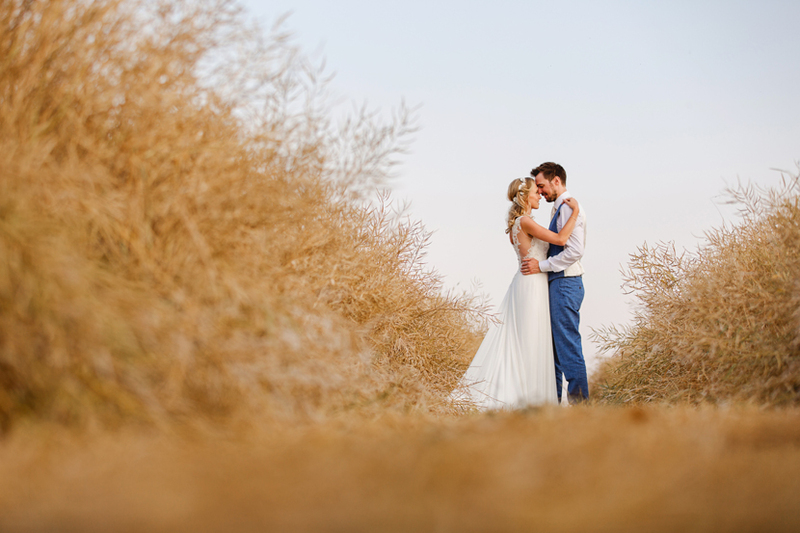 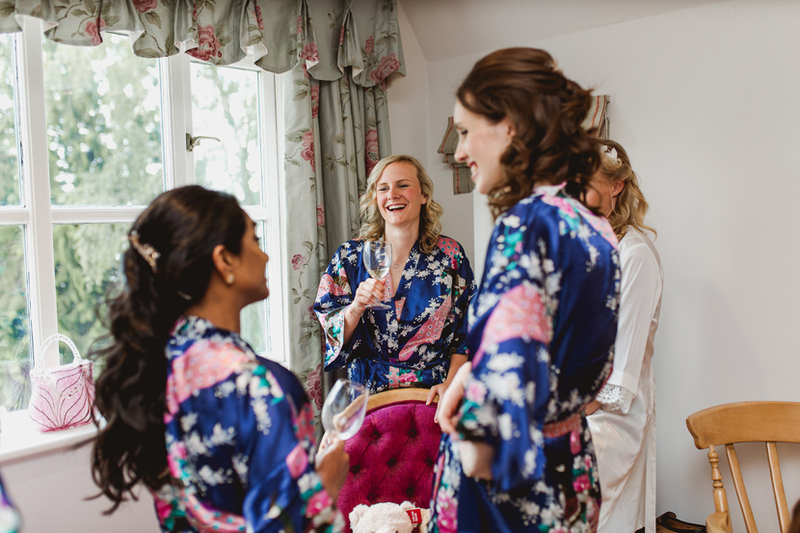 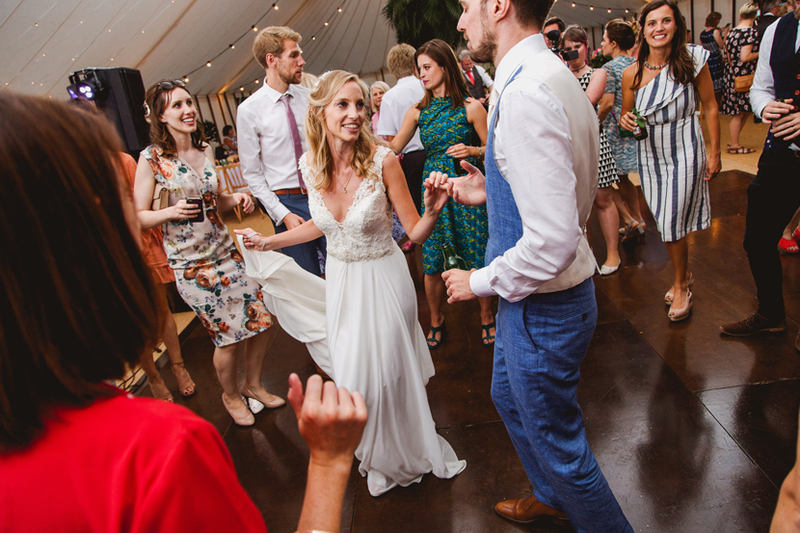 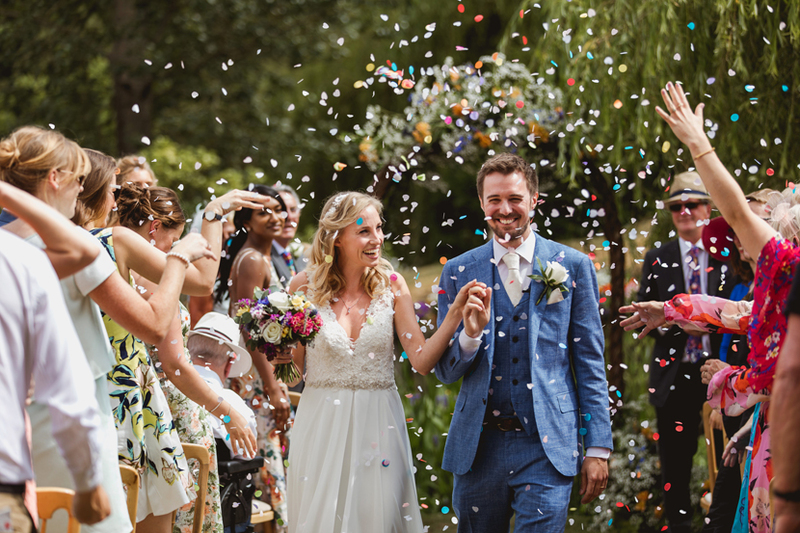 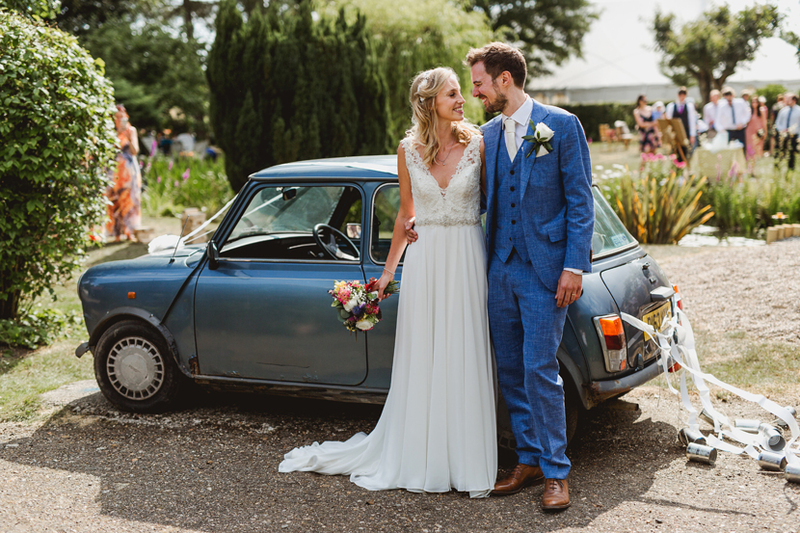 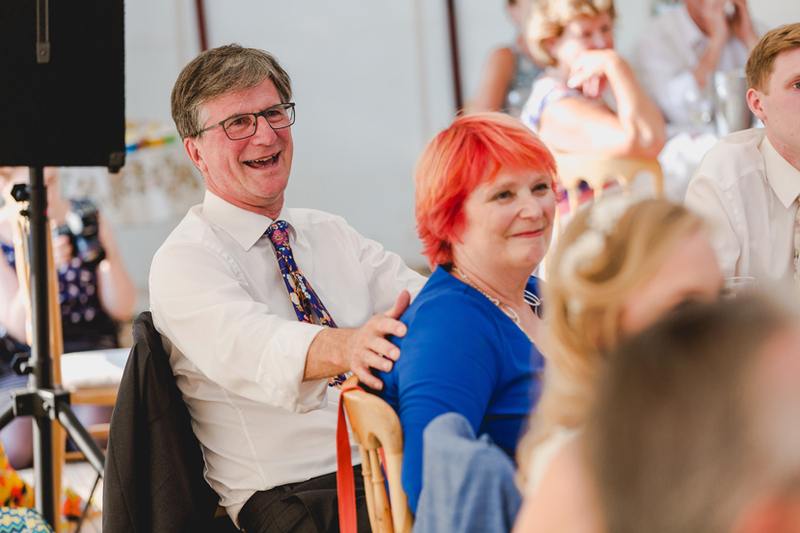 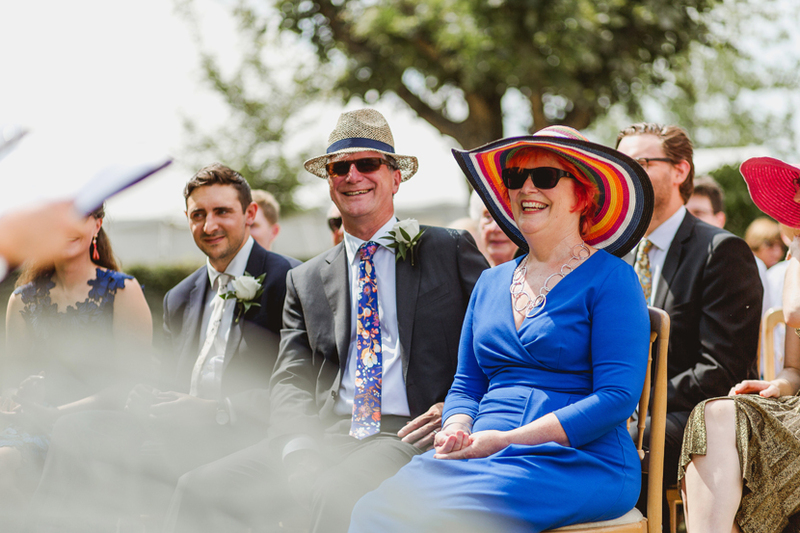 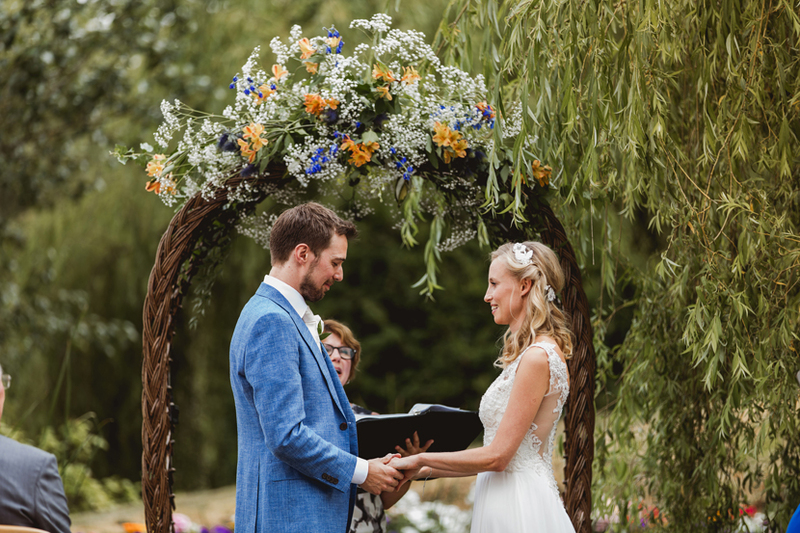 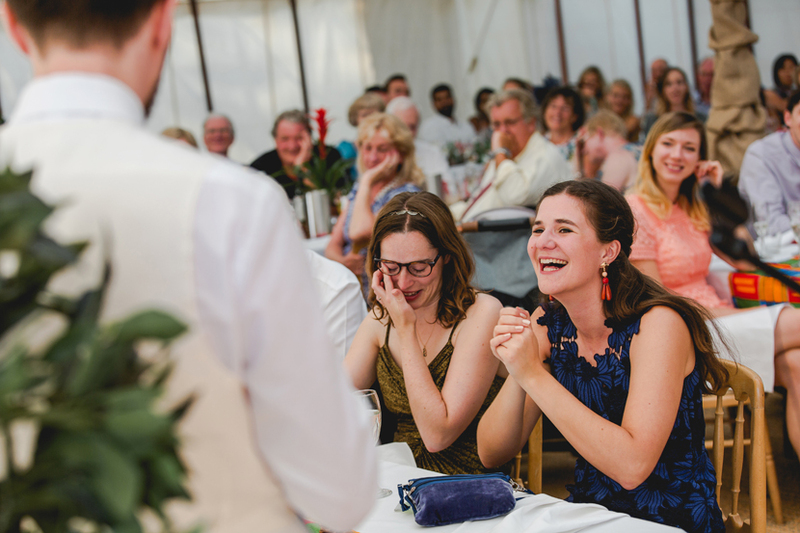 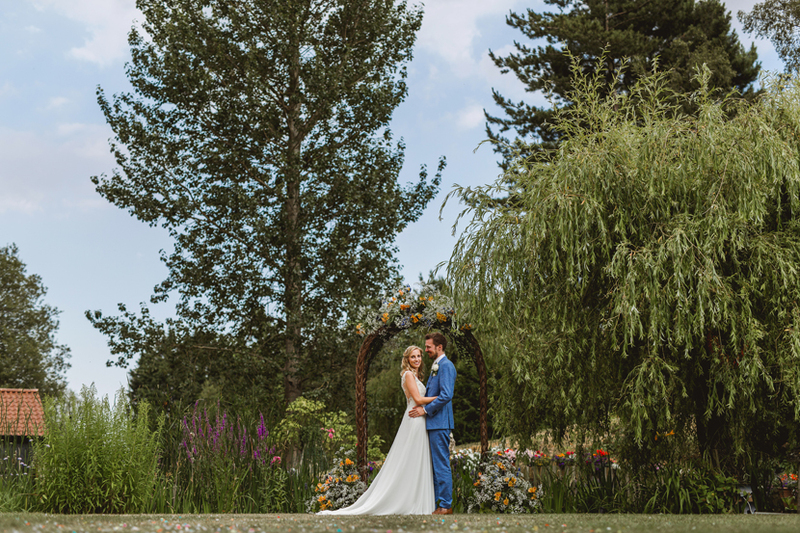 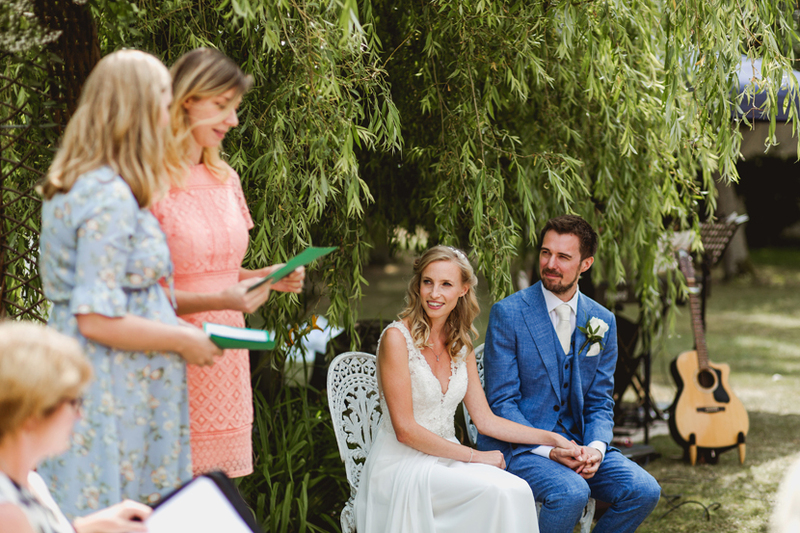 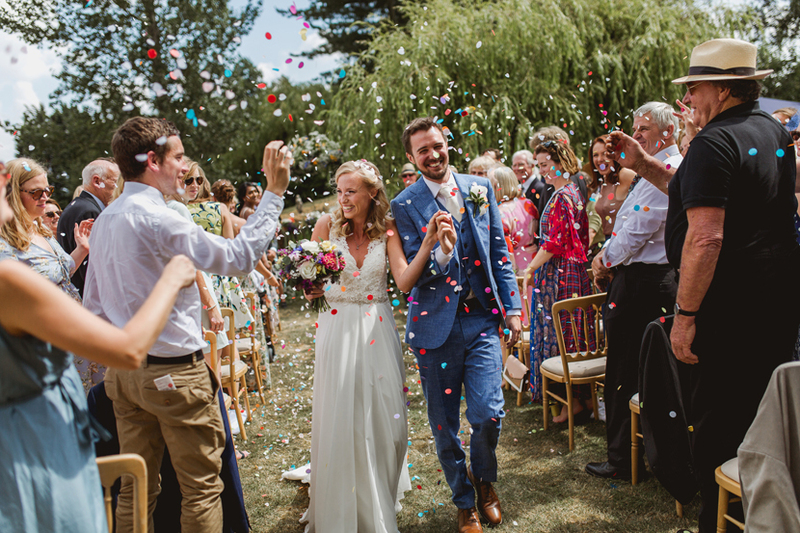 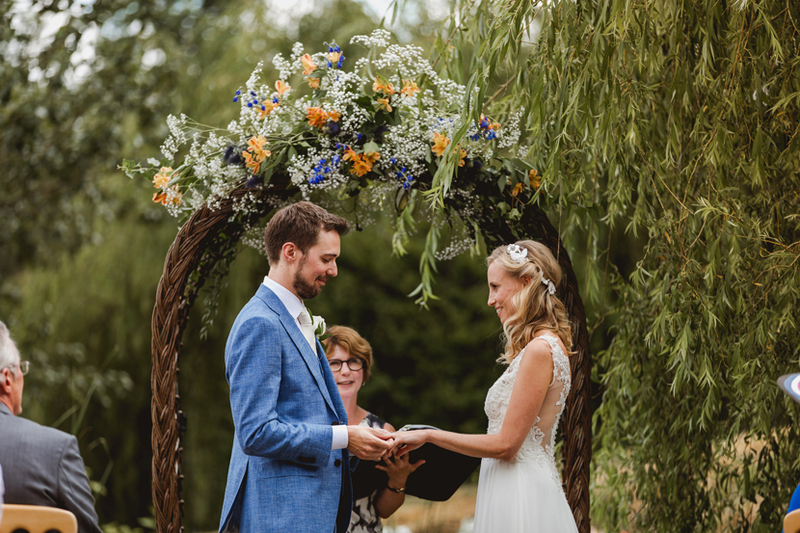 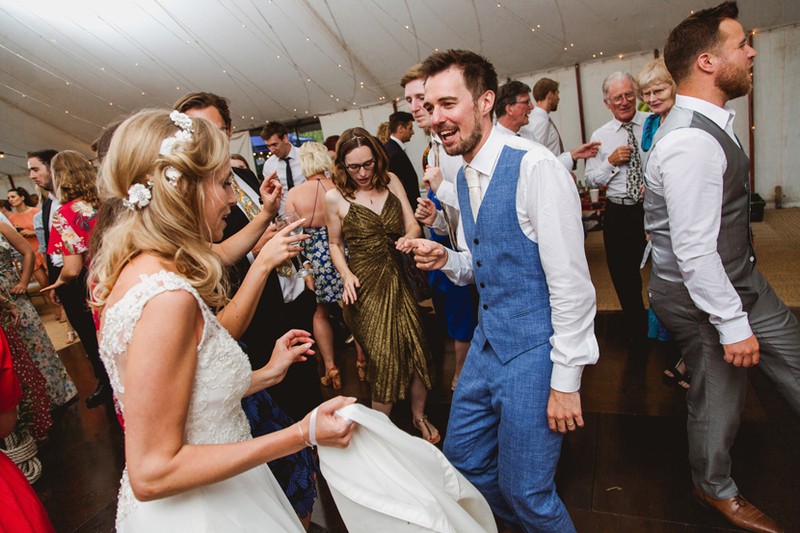 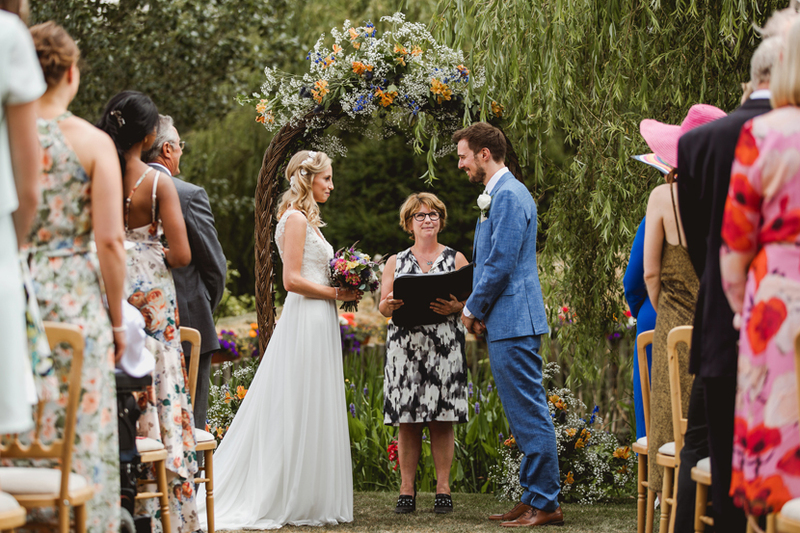 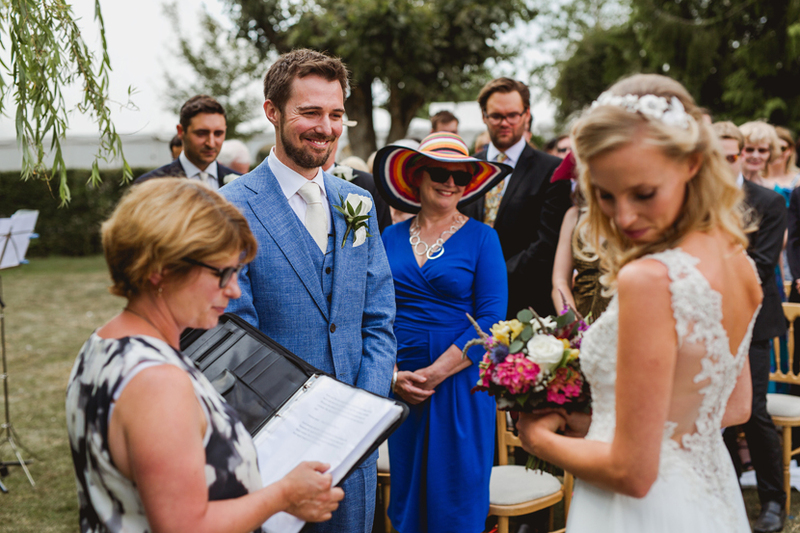 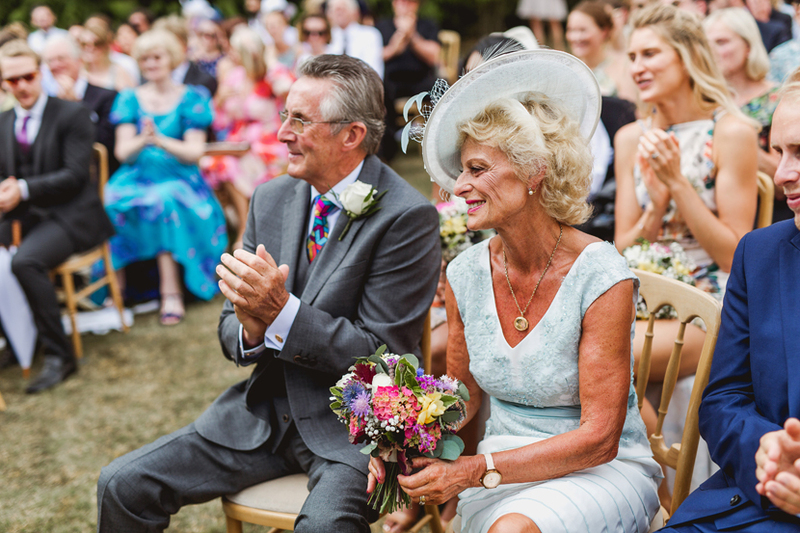 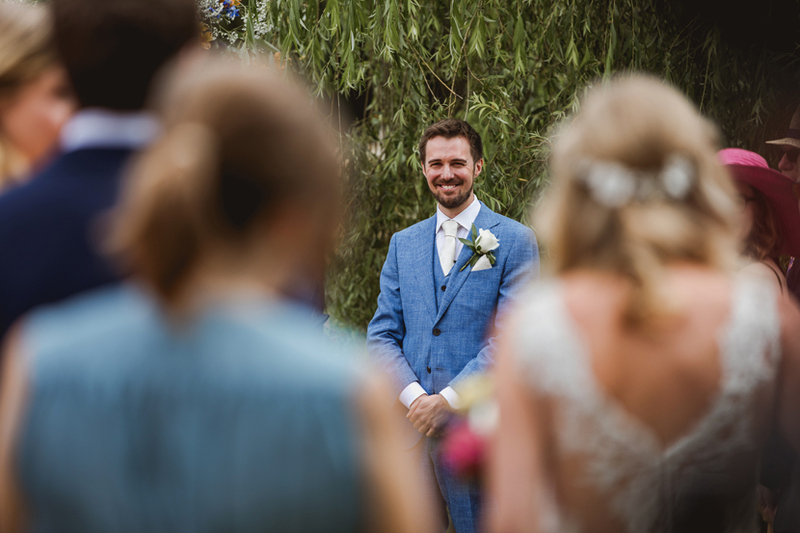 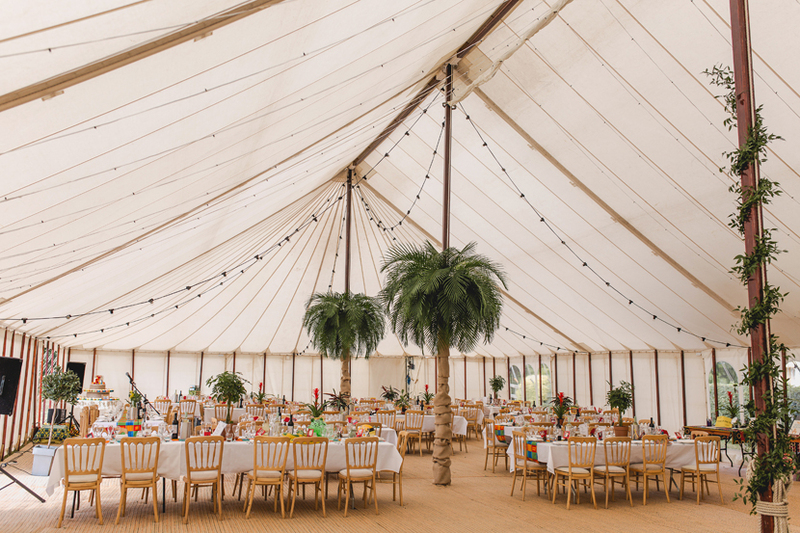 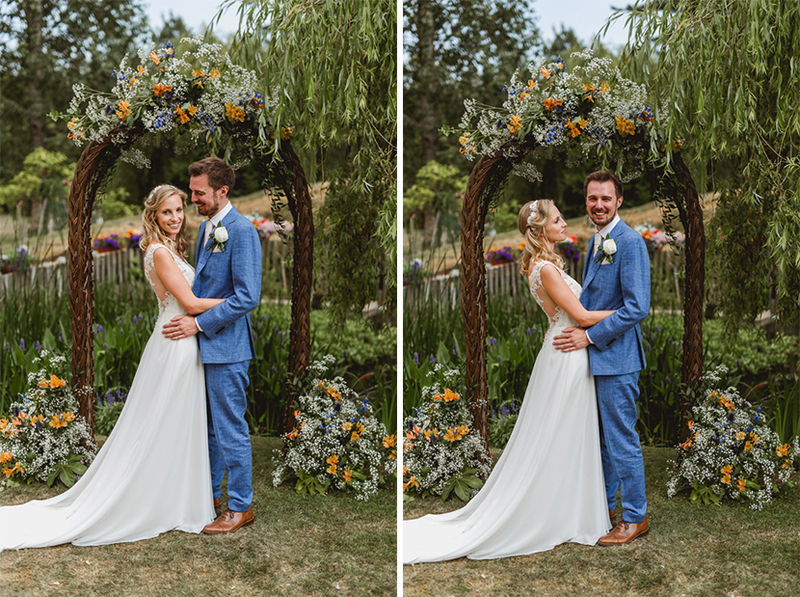 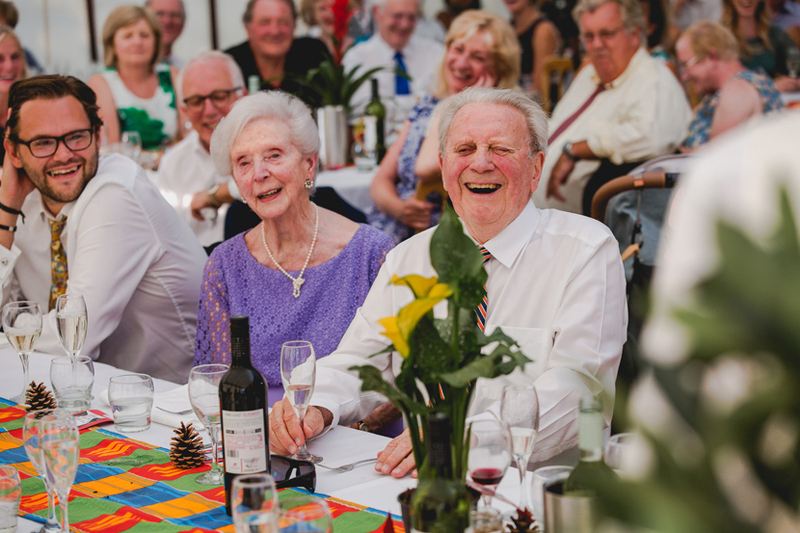 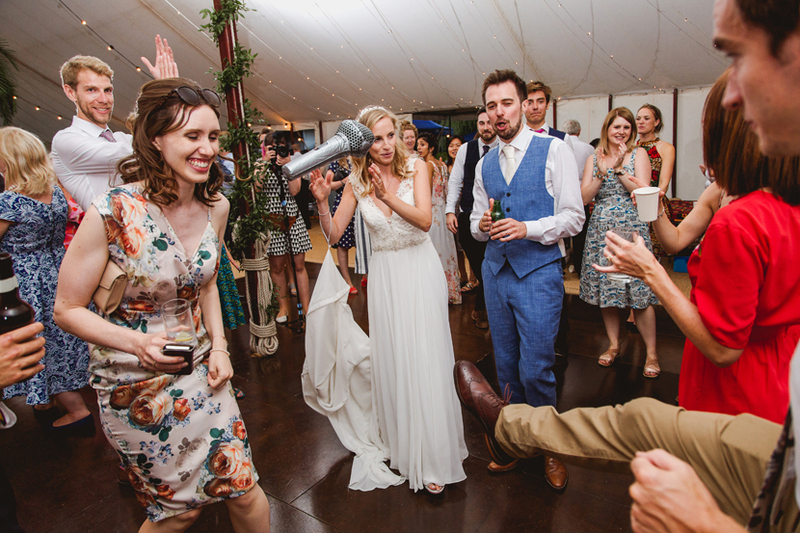 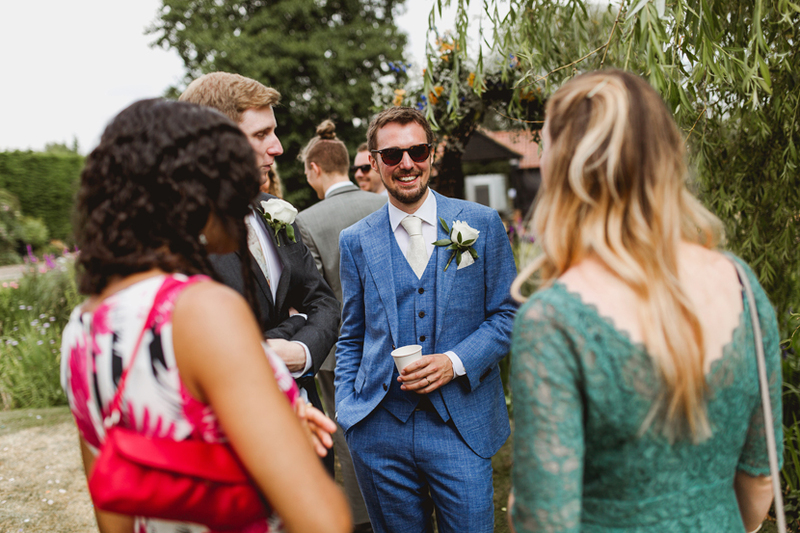 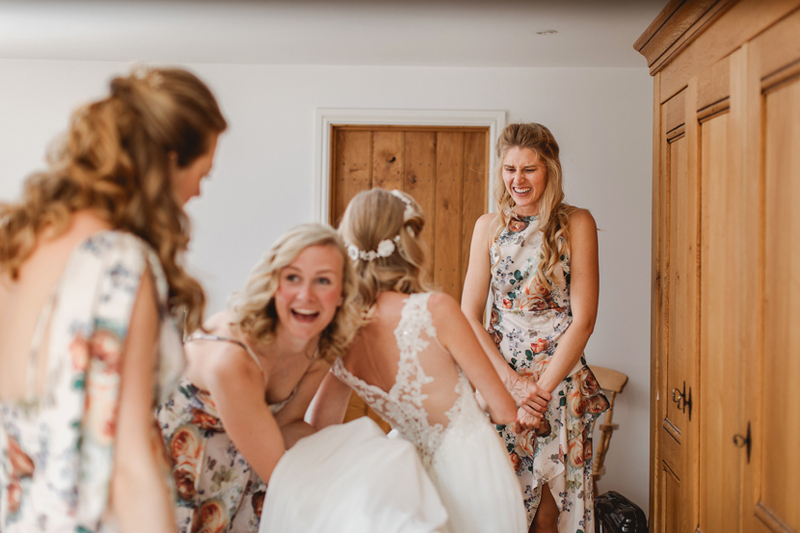 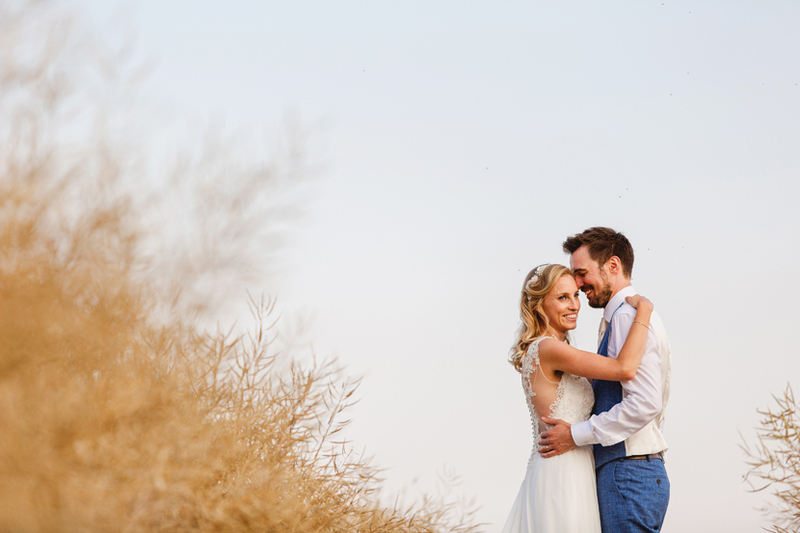 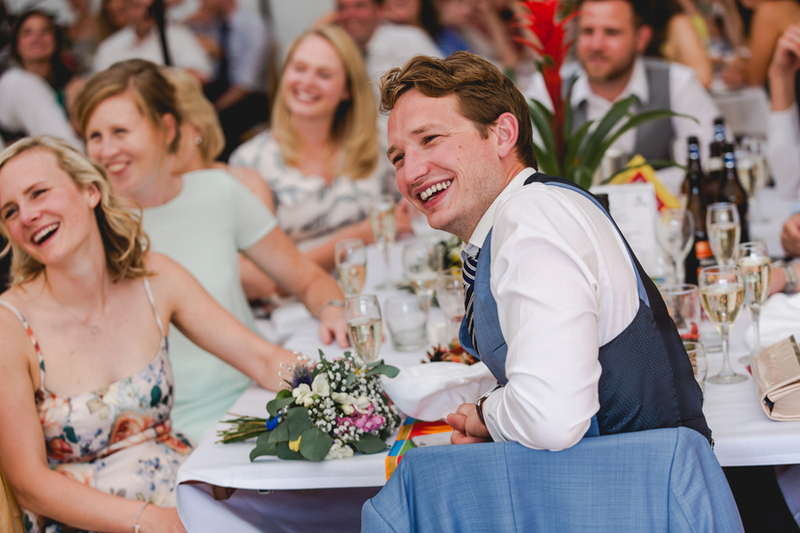 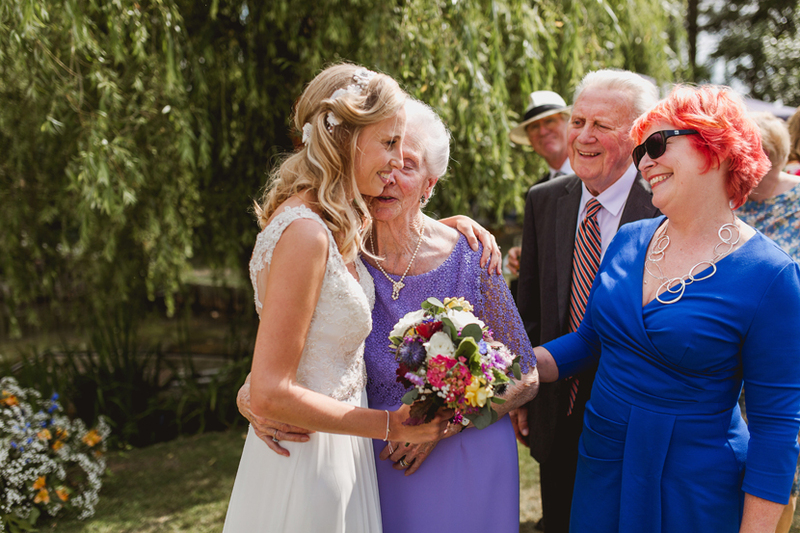 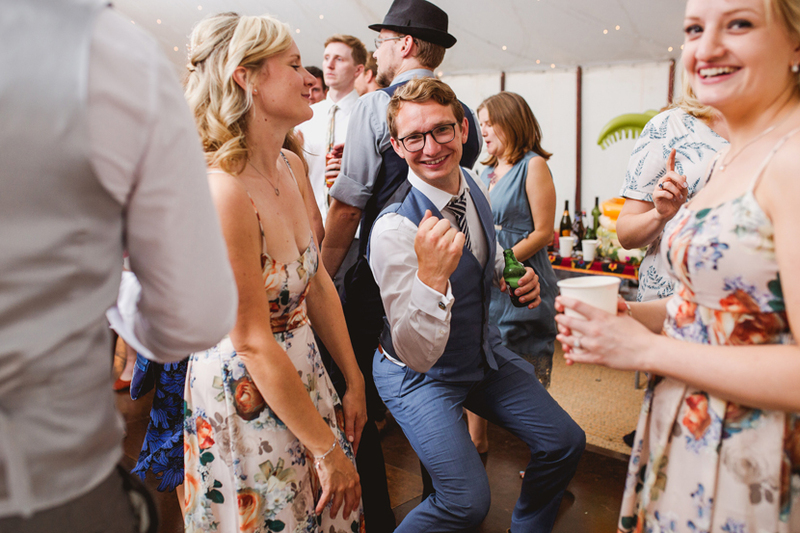 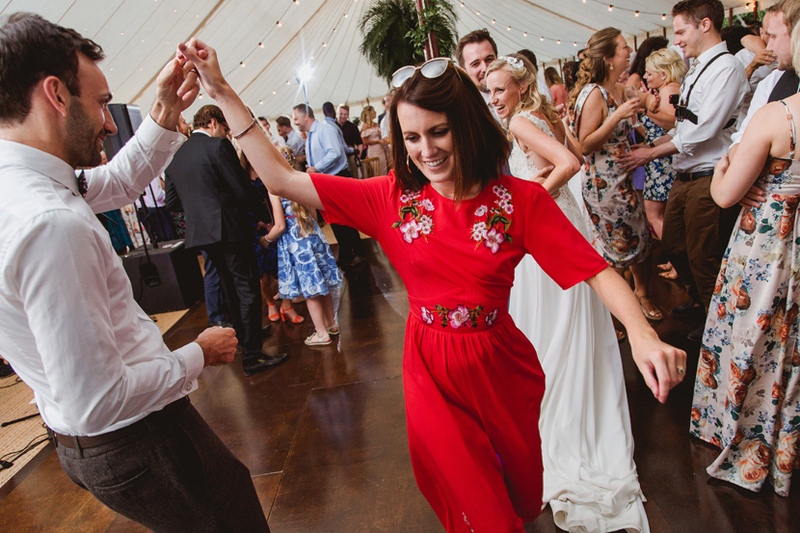 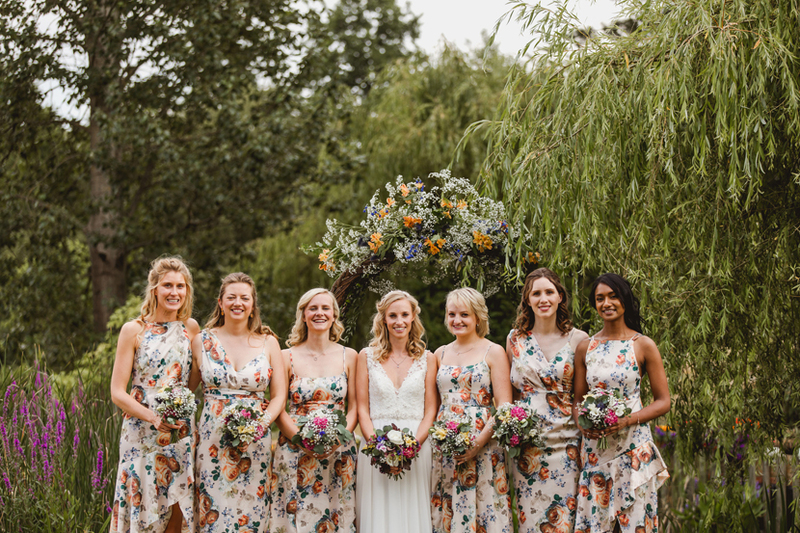 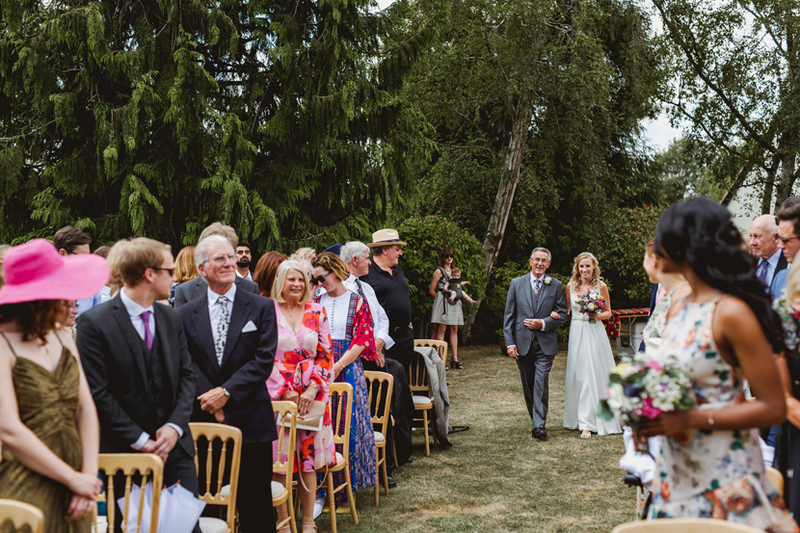 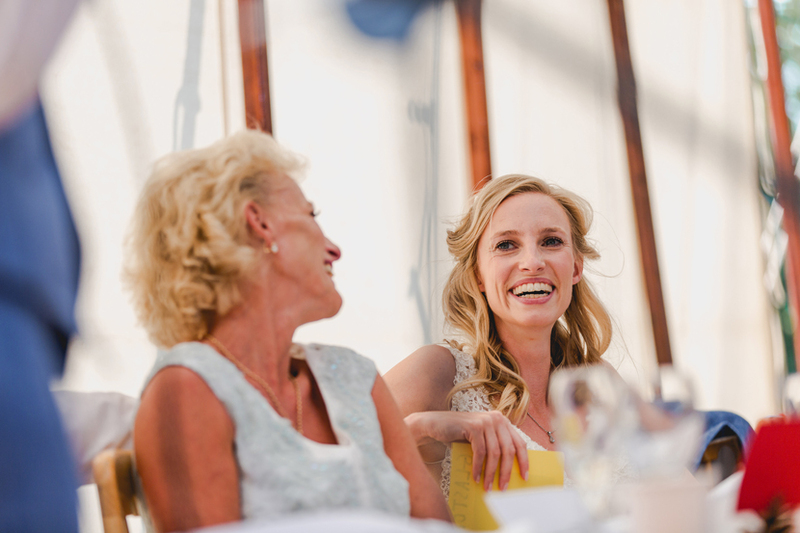 A relaxed and personal garden wedding at Wenden Vineyard. 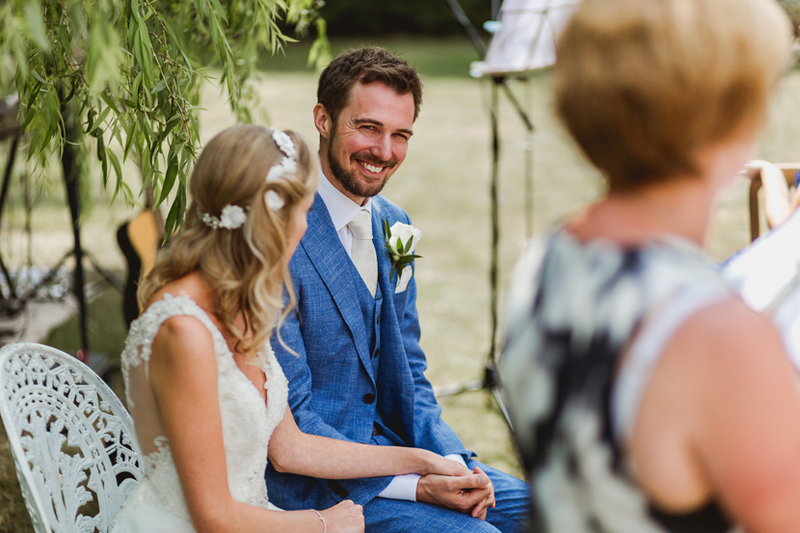 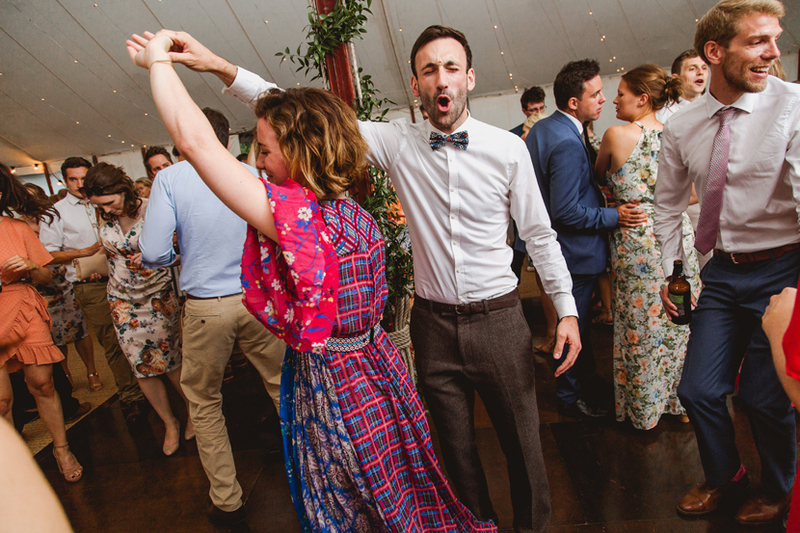 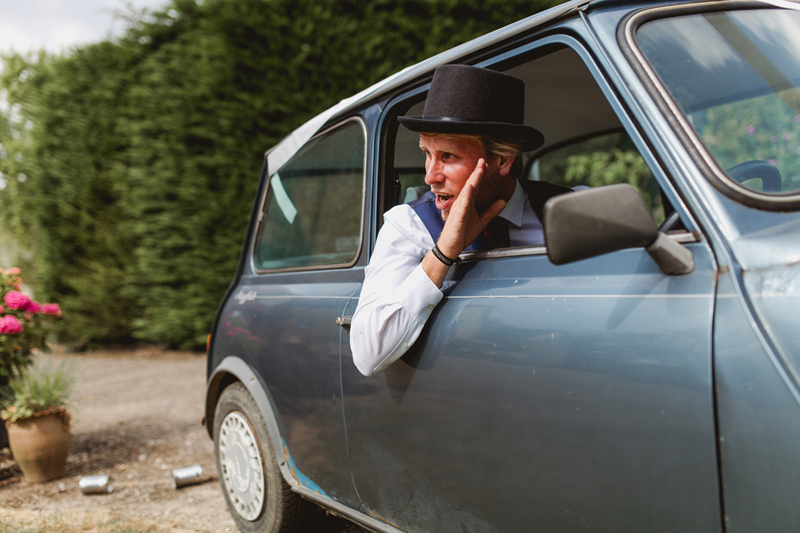 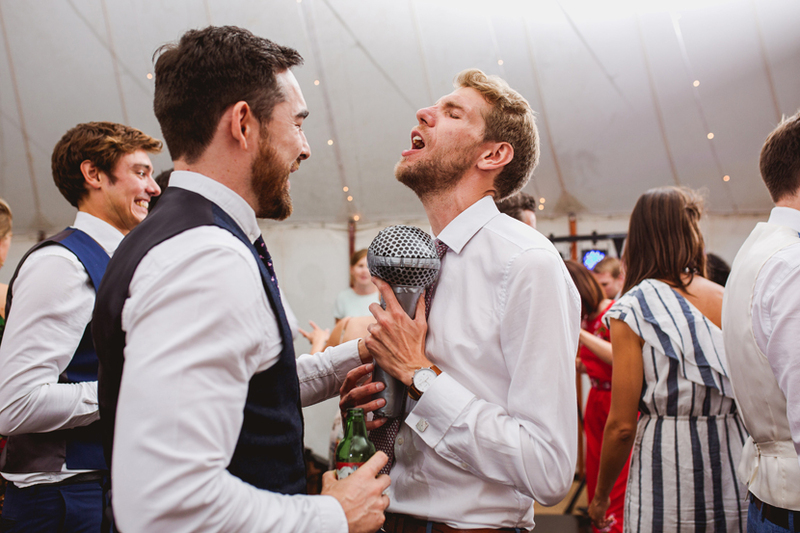 There aren’t many things we enjoy shooting more than a super chilled wedding. 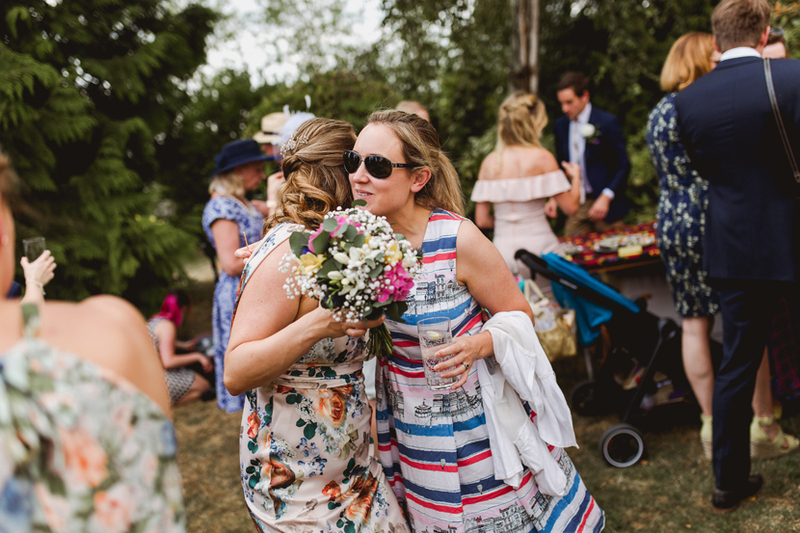 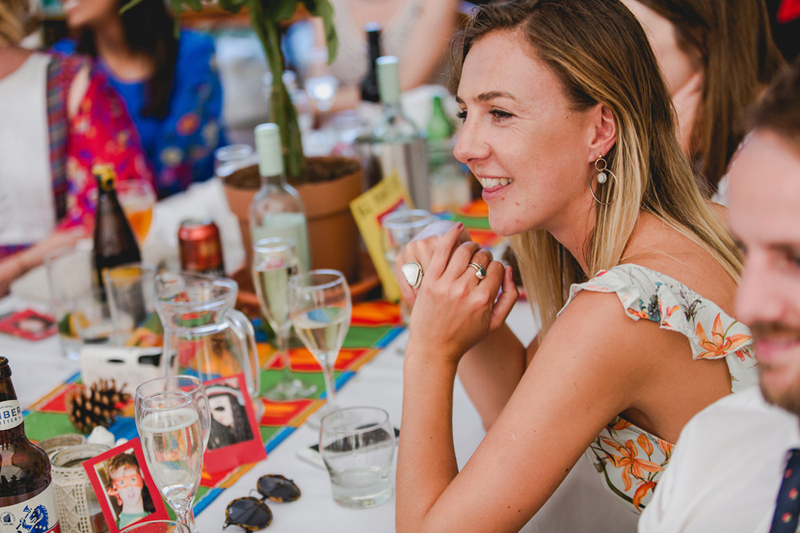 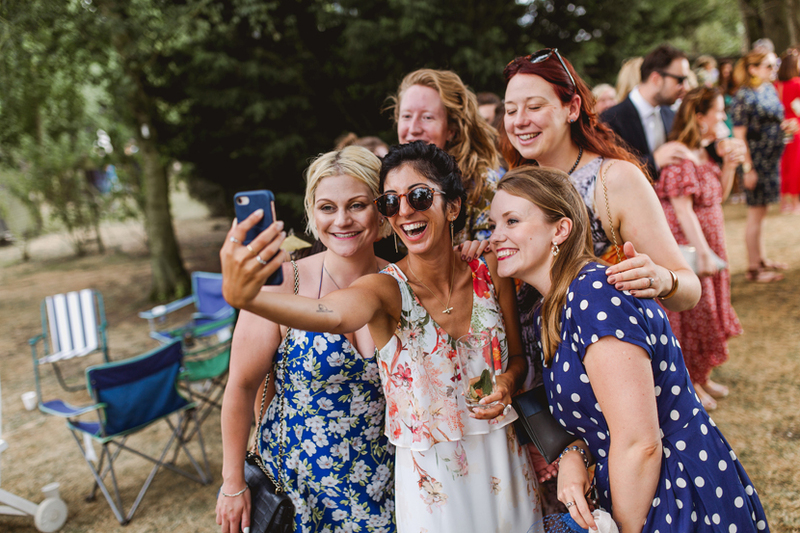 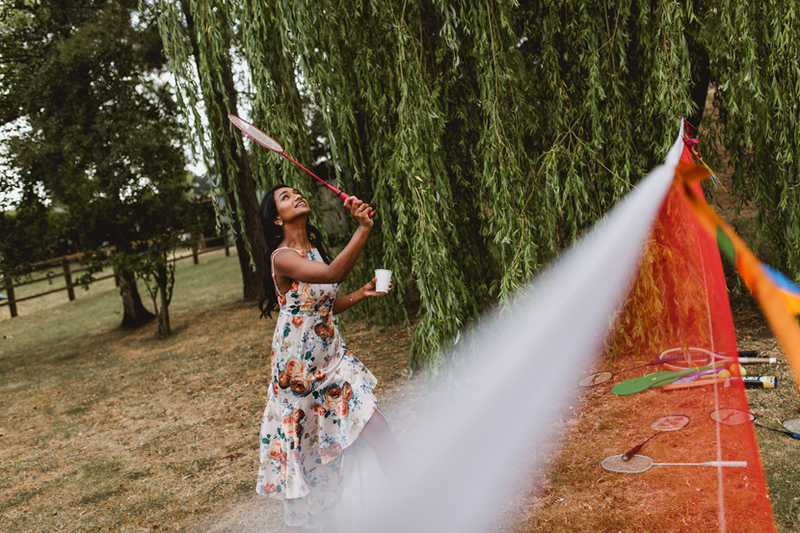 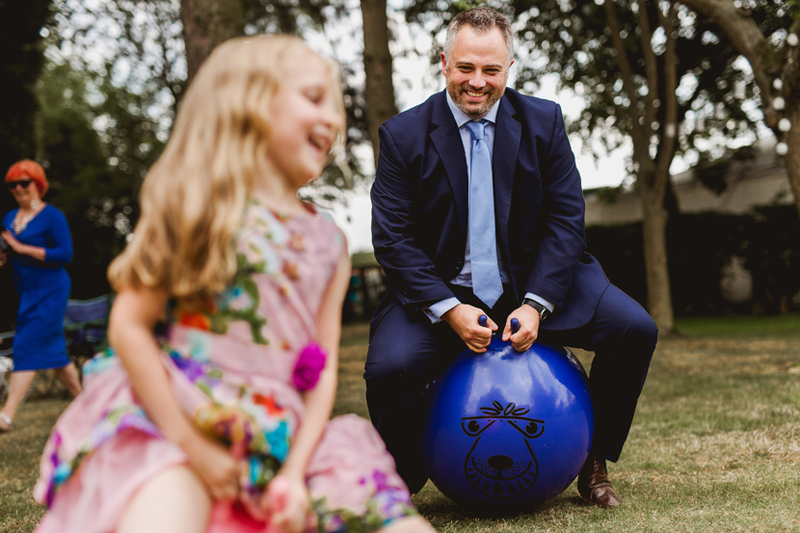 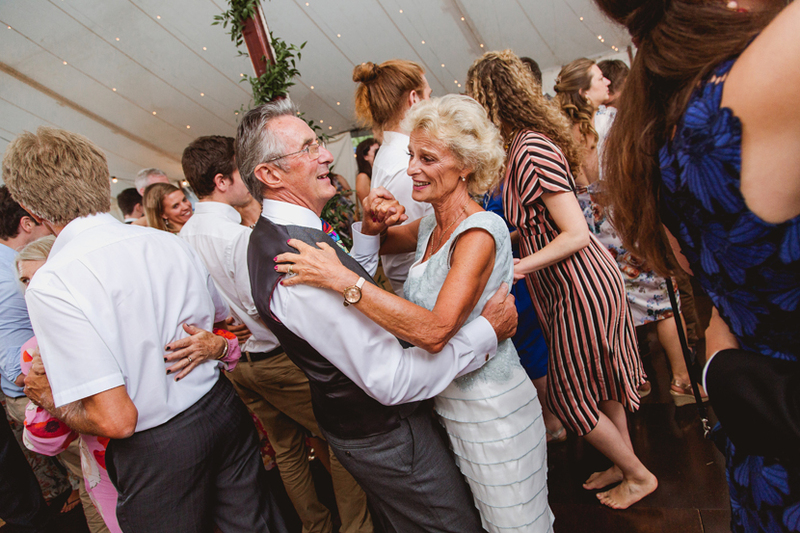 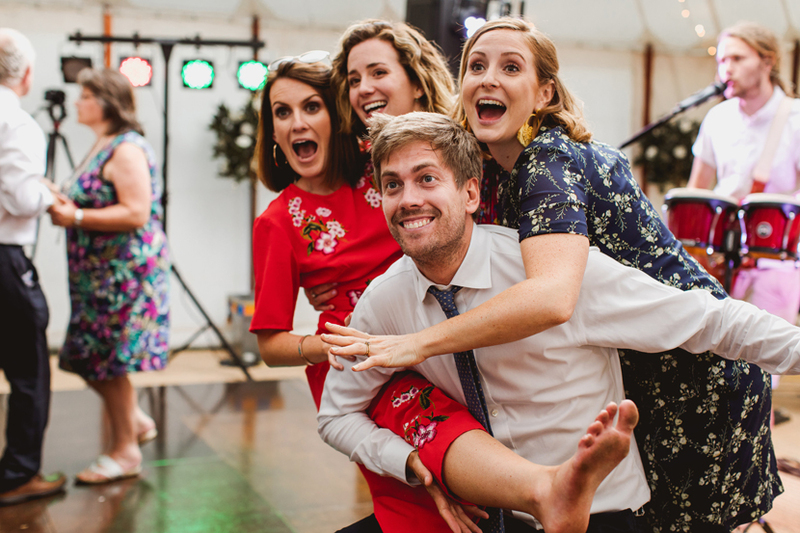 When the wedding is being hosted at the family home too there’s an even greater sense of things not only being relaxed, but also very personal. 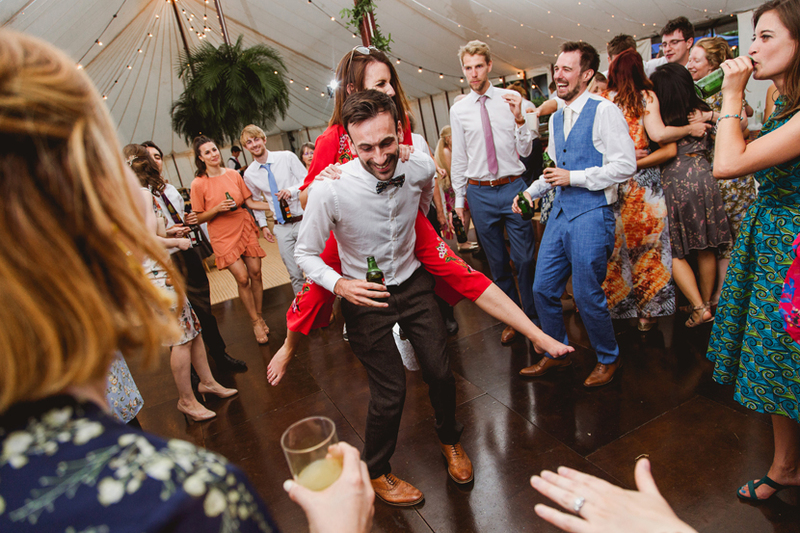 This was exactly the case for Katie and Chris. 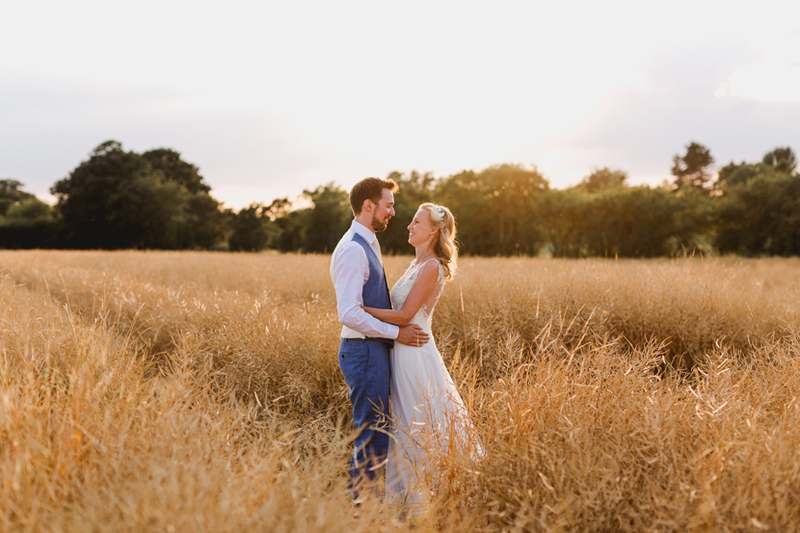 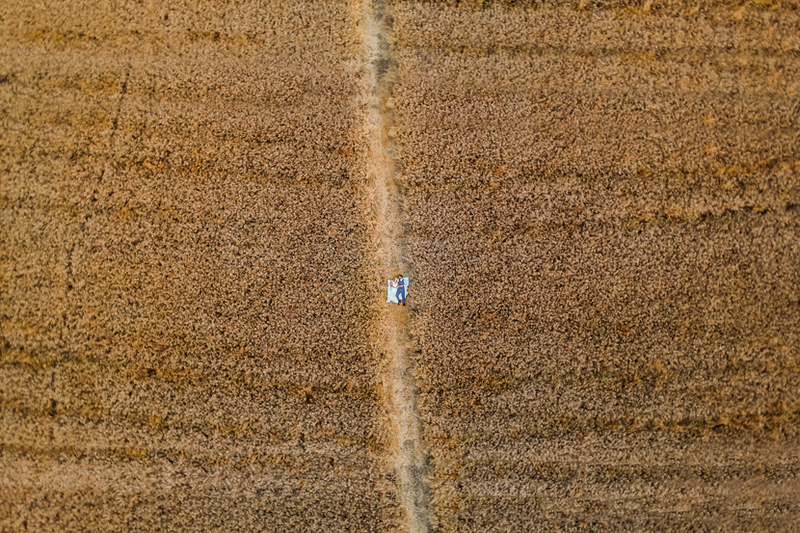 They had decided to marry at Katie’s Family home in Essex. 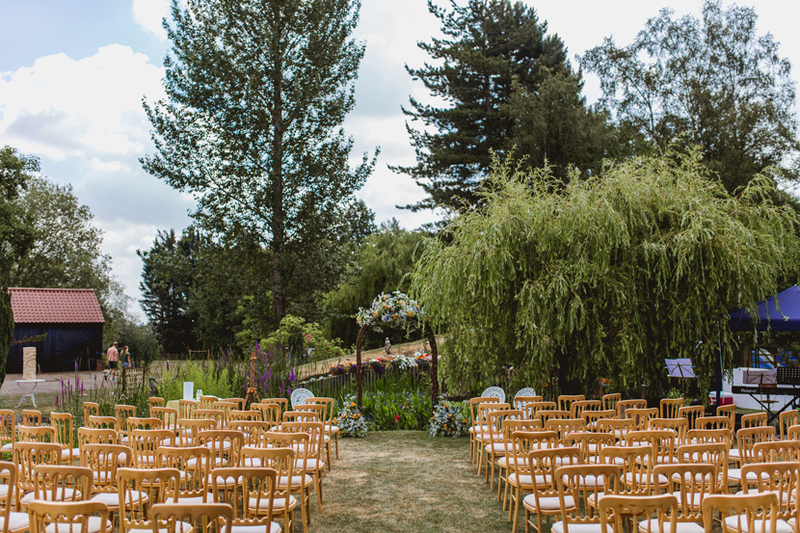 It was a beautiful setting and ideal for a garden wedding. 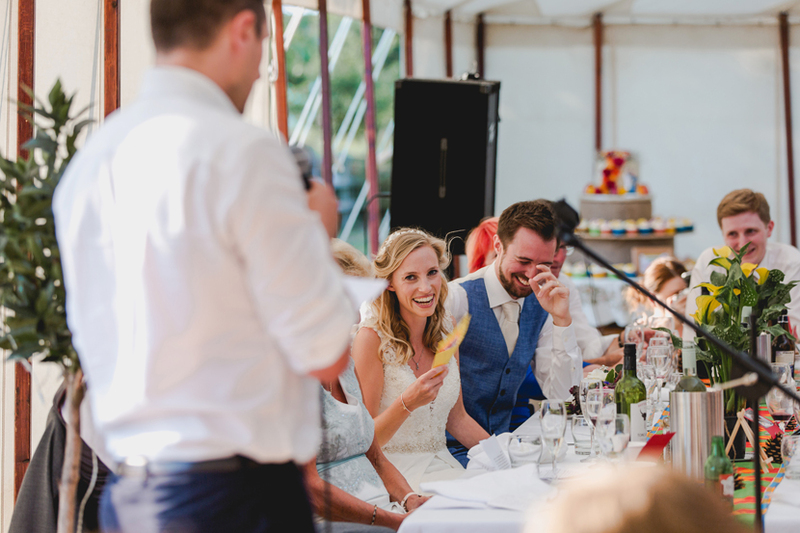 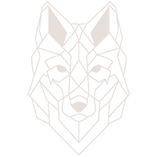 There were plenty of personal touches that really helped to create a fantastic atmosphere. 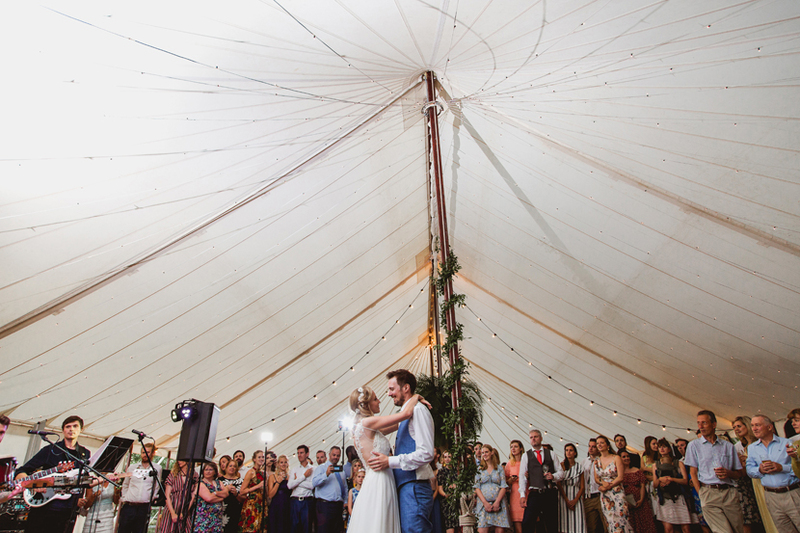 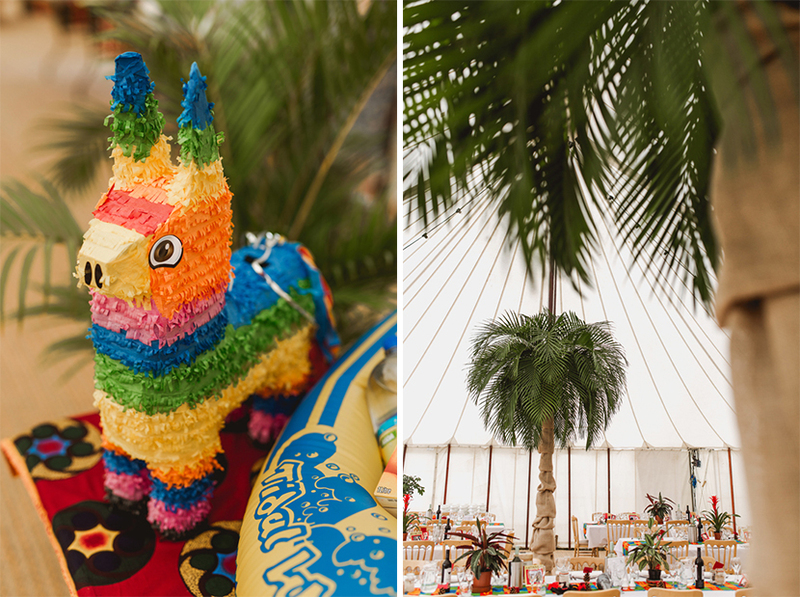 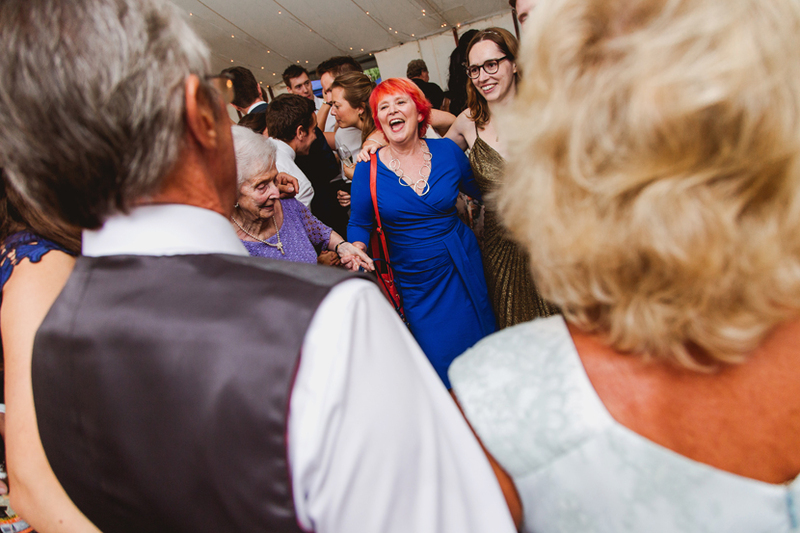 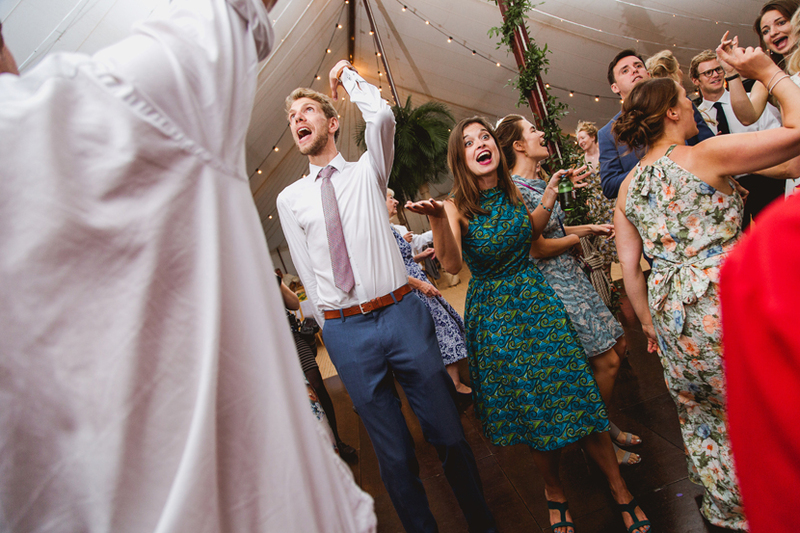 There was so much that we loved about this wedding. 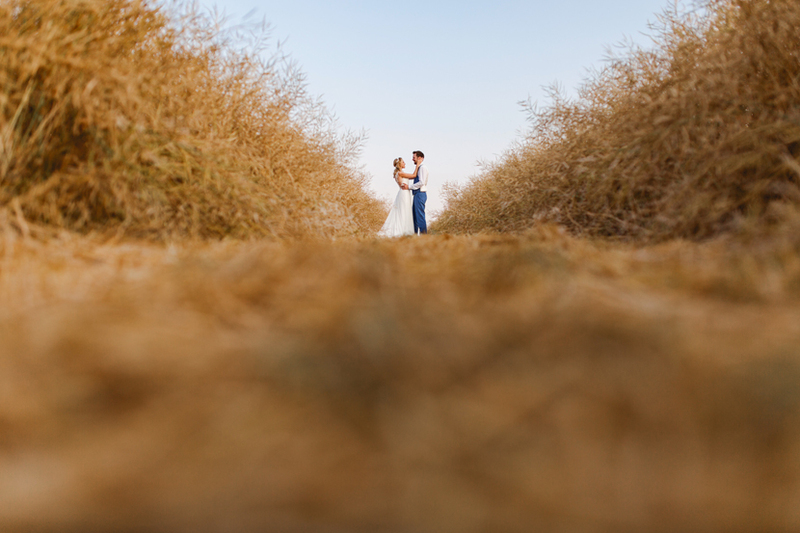 The garden in itself was wonderful. 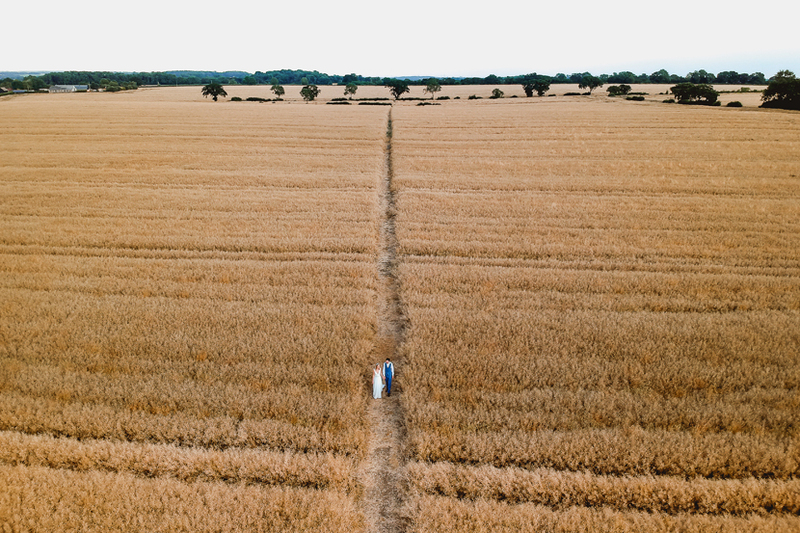 There were lots of interesting pockets to explore and so many unique features. 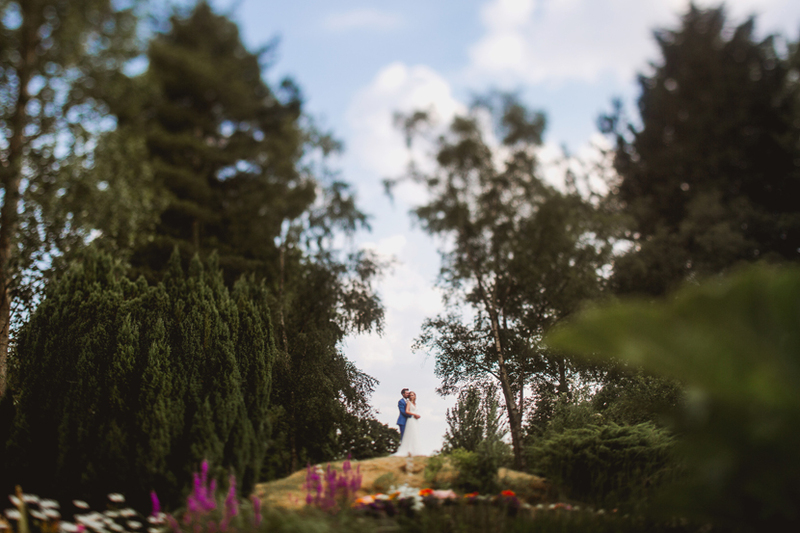 It was clear that the garden had been lovingly tended to over many months. 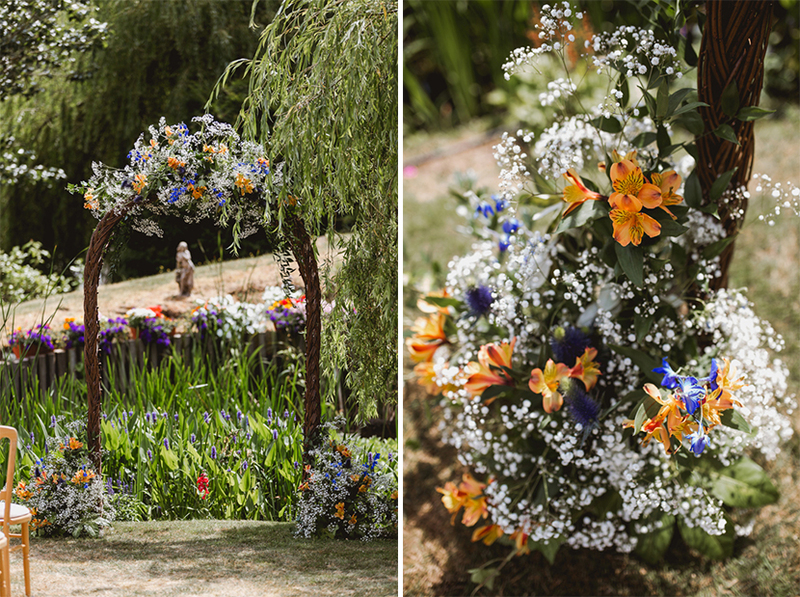 The flowers and decor were also stunning. 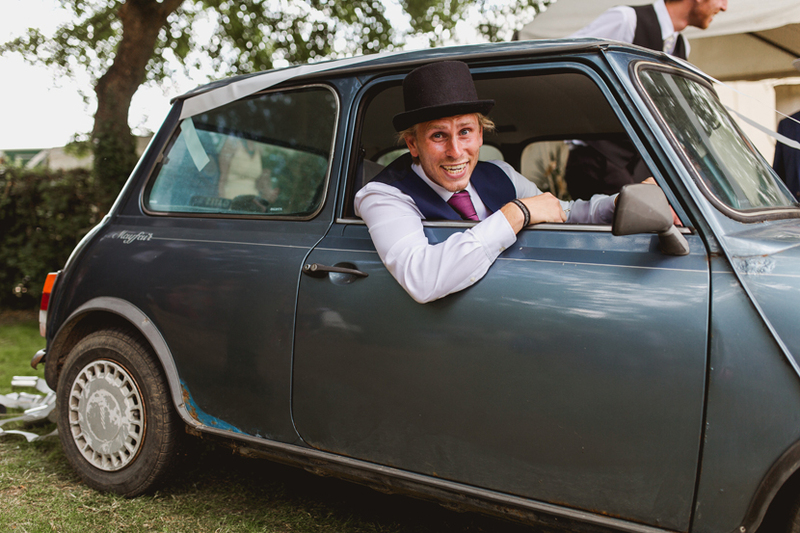 Even seemingly small elements of the day such as Katie being chauffeured by her brother in their nan’s mini all helped to keep things jovial and personal. 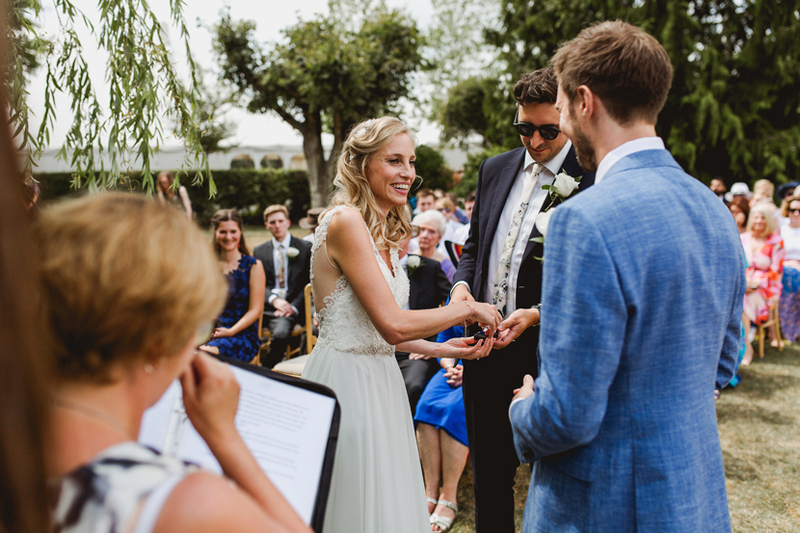 During their humanist ceremony Katie & Chris’ rings were passed around to each guest. 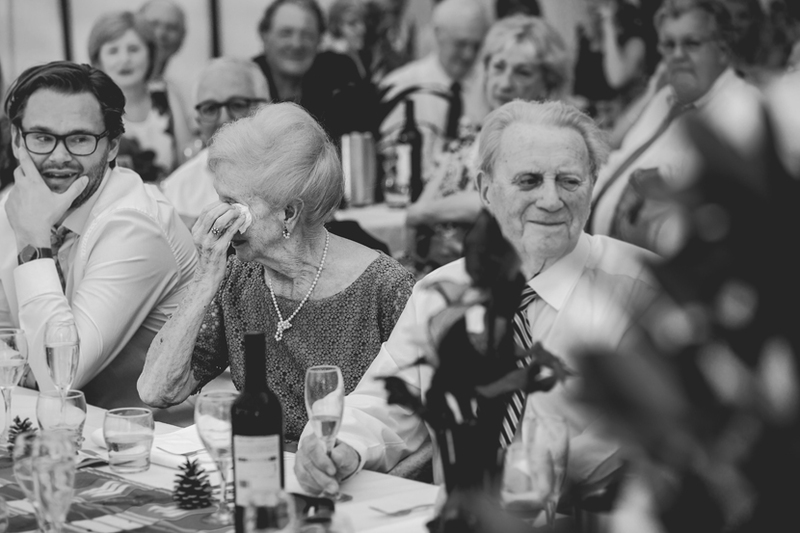 Symbolic of the part each guest had to play in their day and in their relationship. 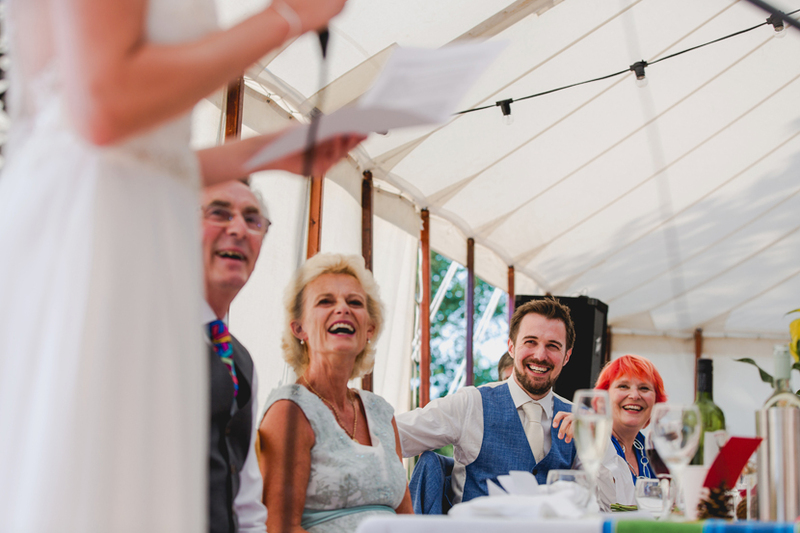 It was very much a family event and one i’m sure where everyone felt very welcomed and very much part of the team. 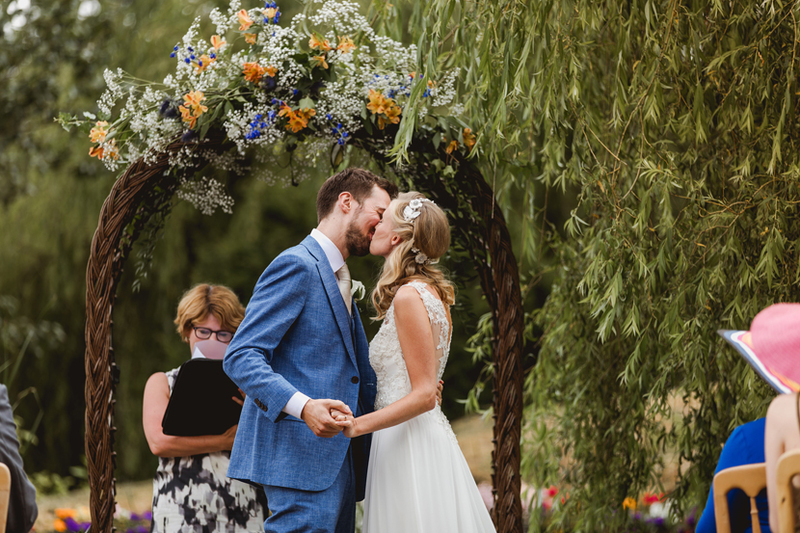 At the end of the ceremony, in lieu of a mock register signing the newlyweds instead opted to invite their guests to “register” their attendance by placing a fingerprint on their fingerprint tree. 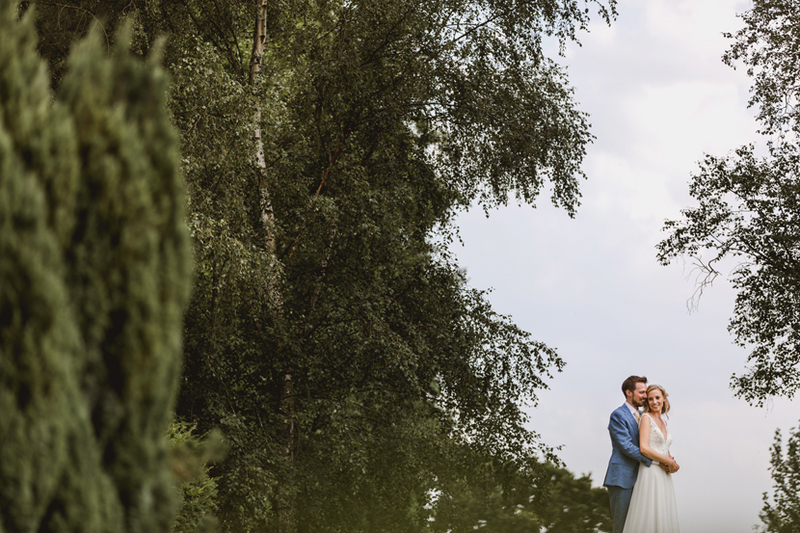 This tree too had been created with love for them by one of their guests. 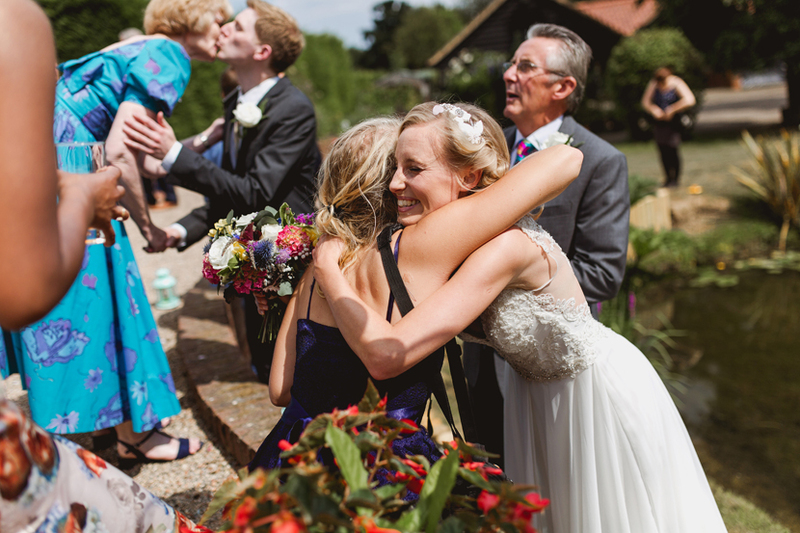 Katie, Chris and their families could not have been better hosts. 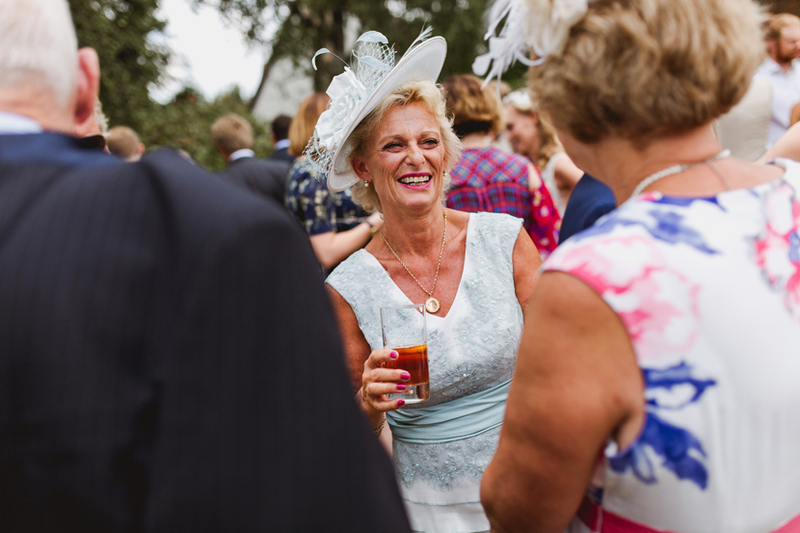 We felt so welcomed all day and we’re sure their guests felt the same. 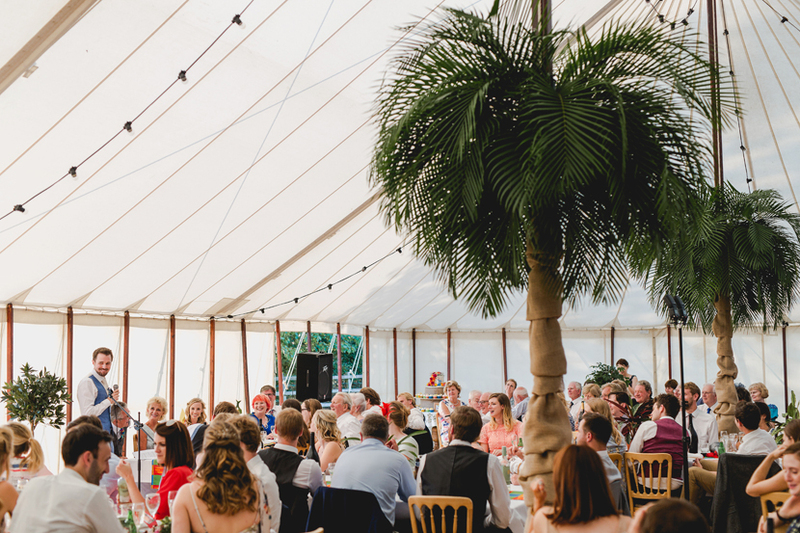 With the sun shining, the steel band playing and the drinks flowing it really did turn out to be a perfect day.